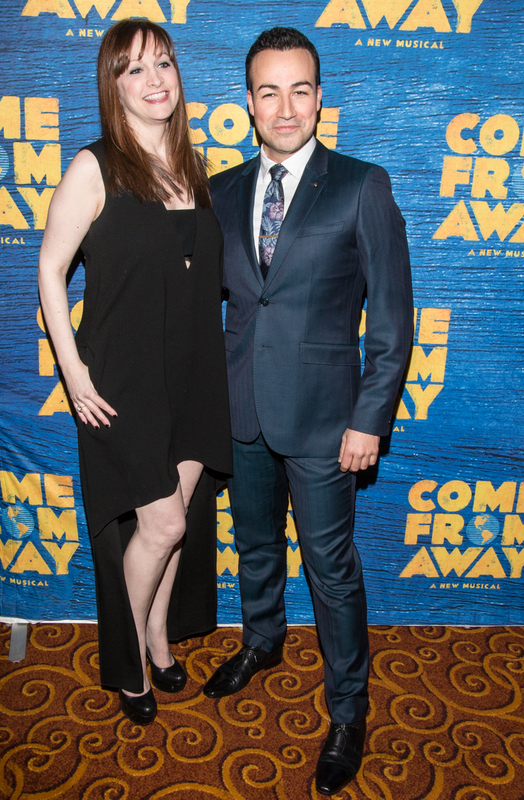 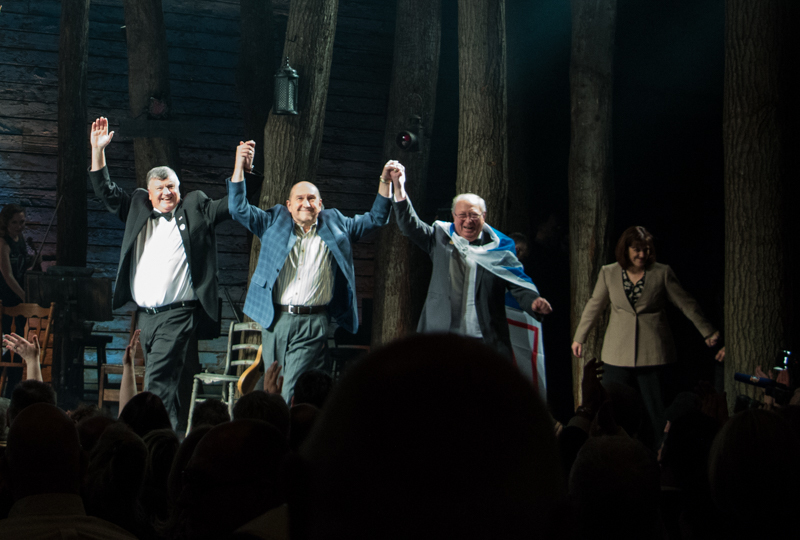 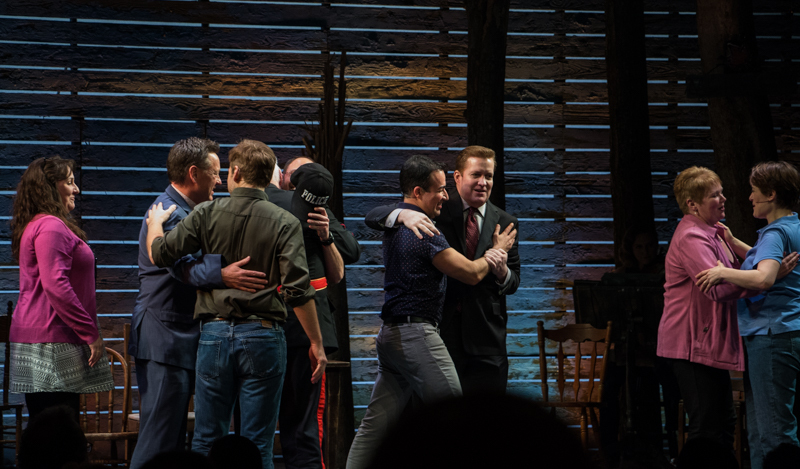 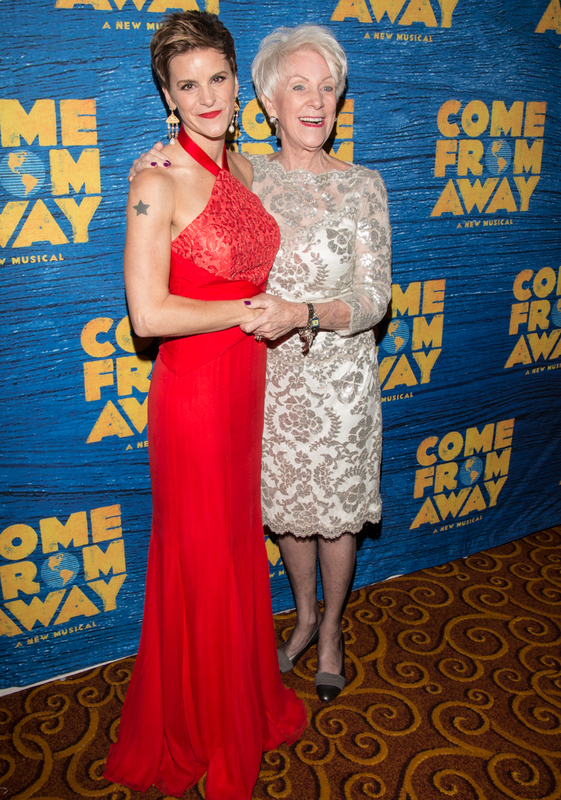 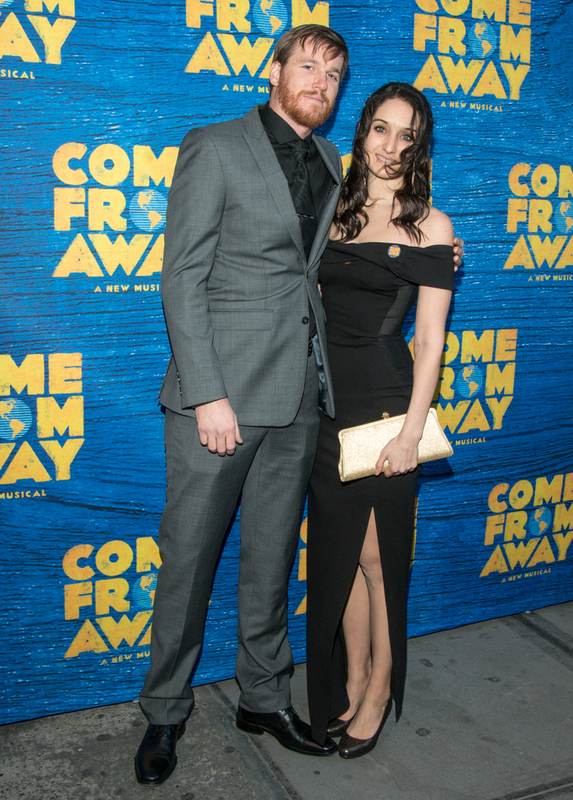 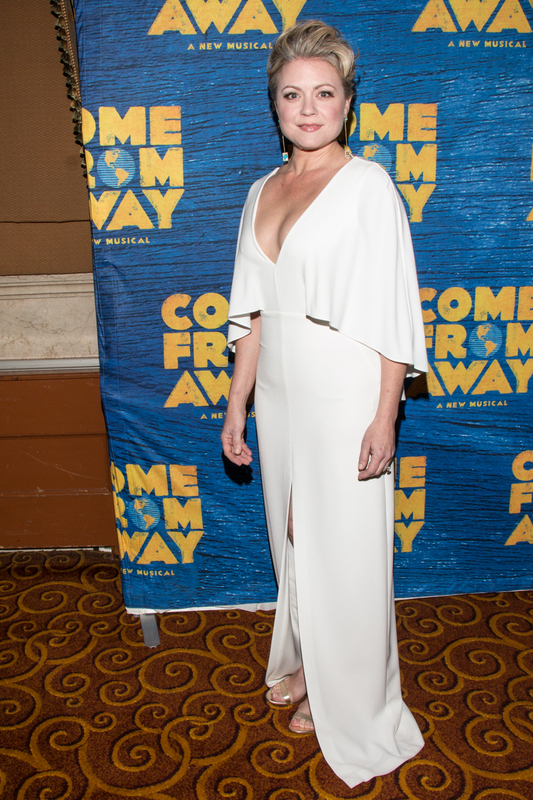 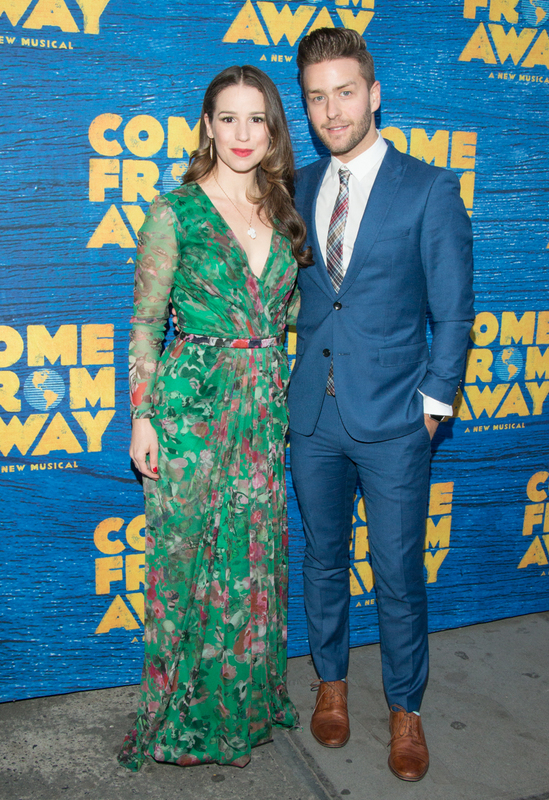 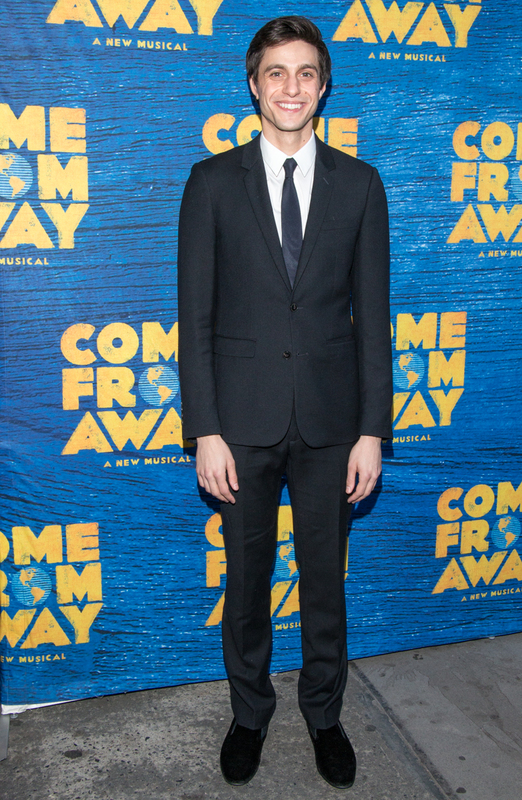 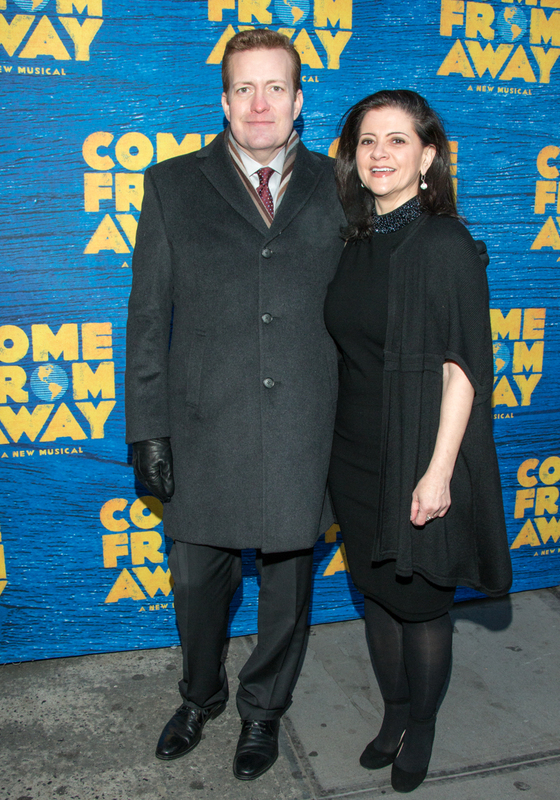 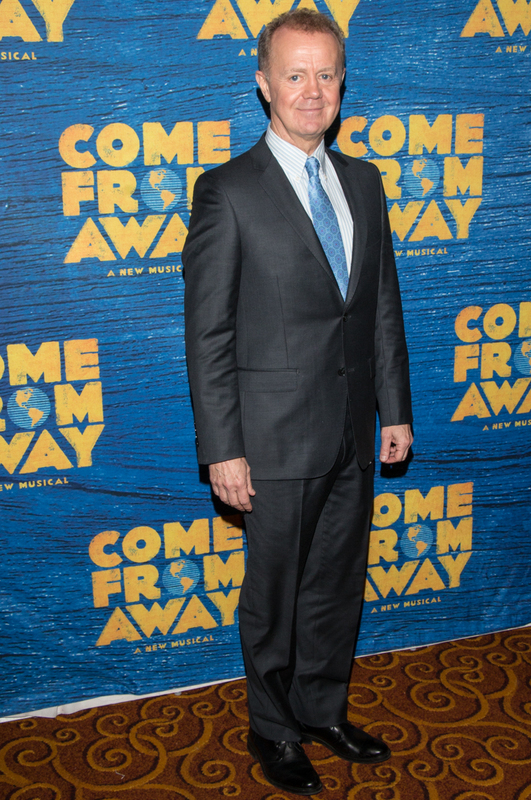 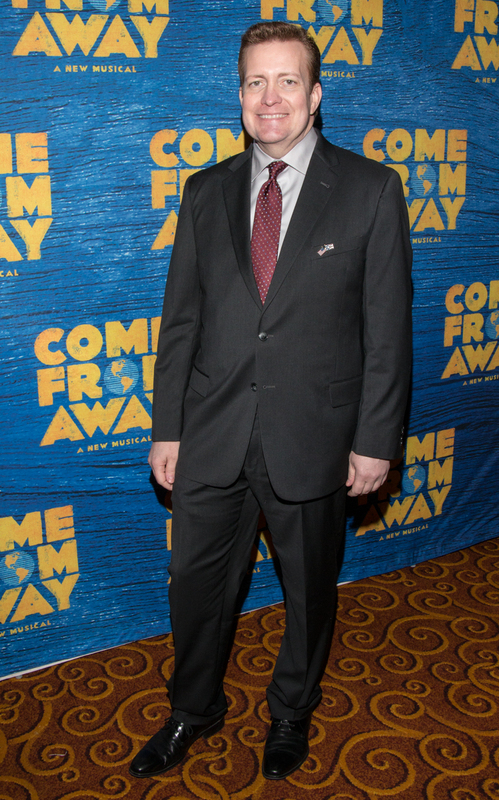 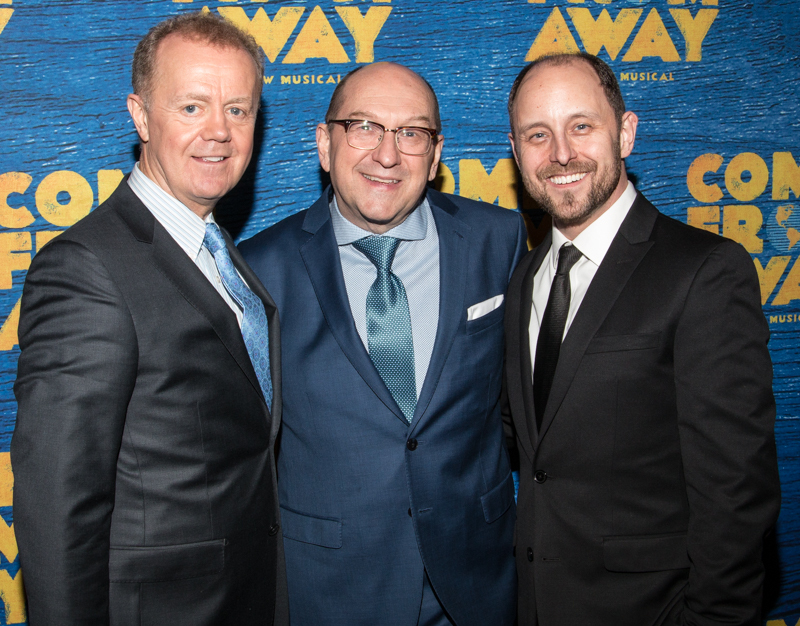 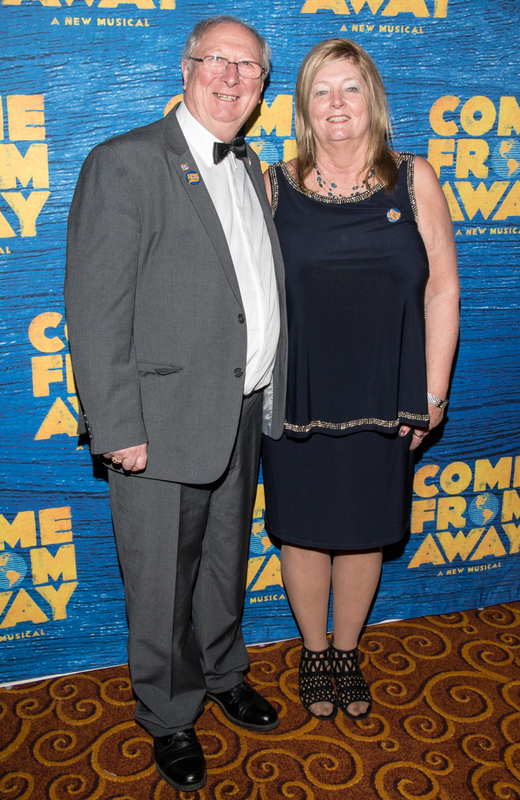 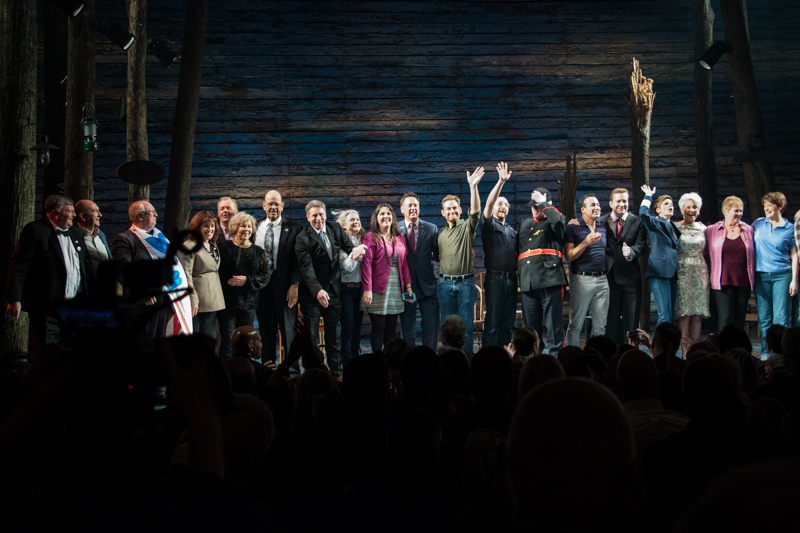 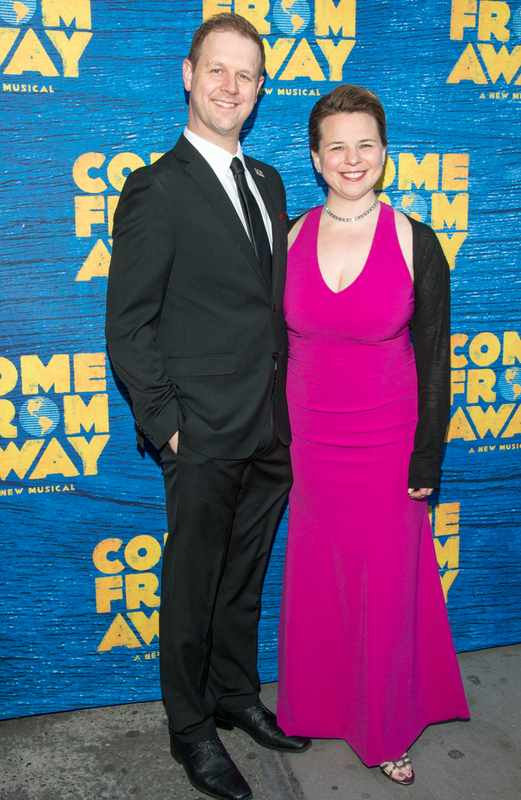 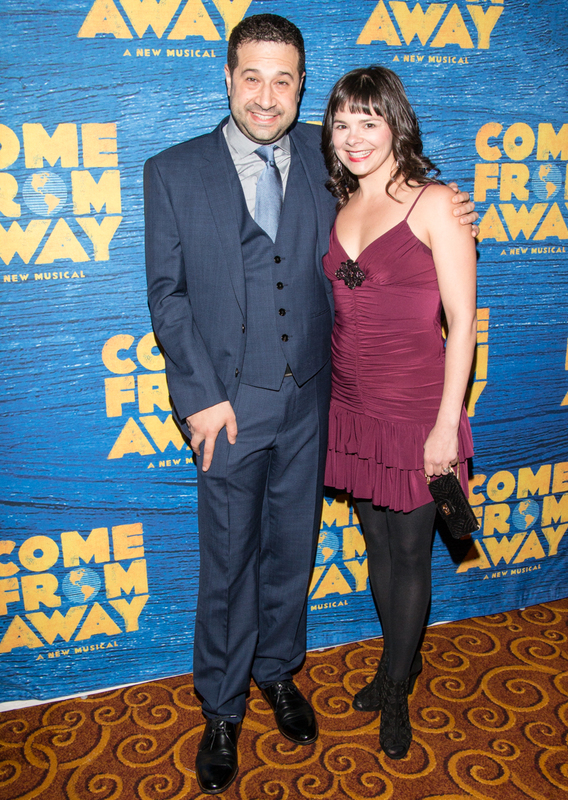 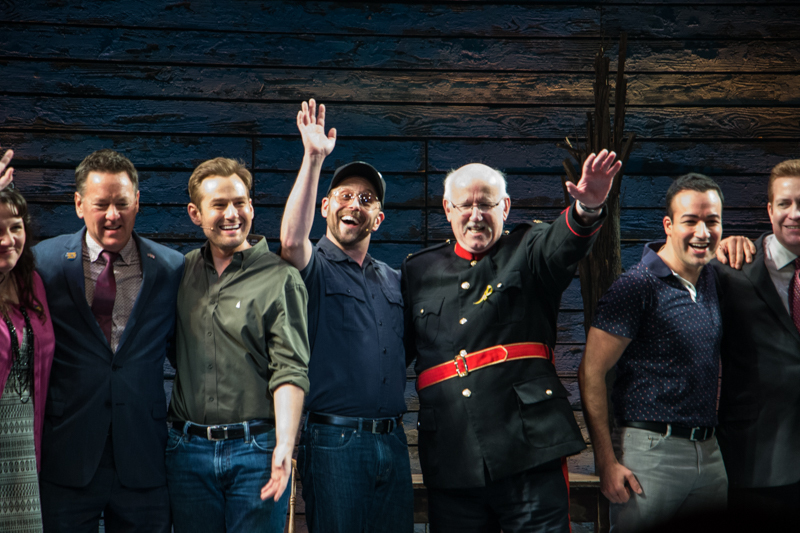 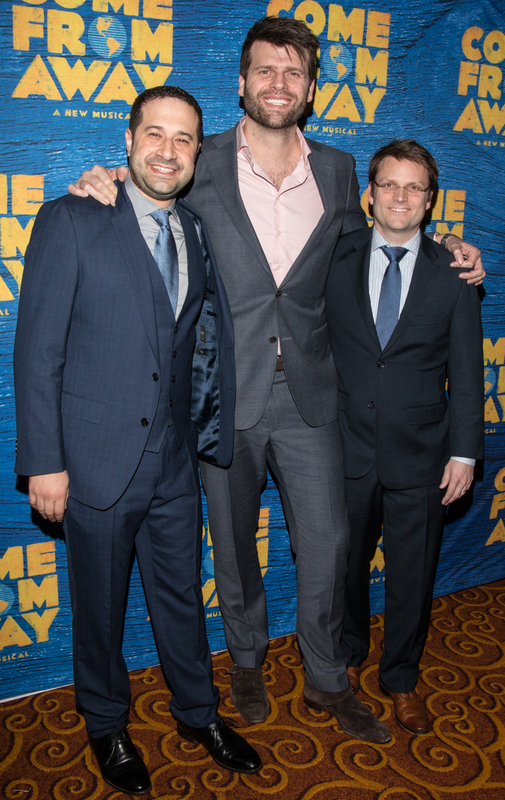 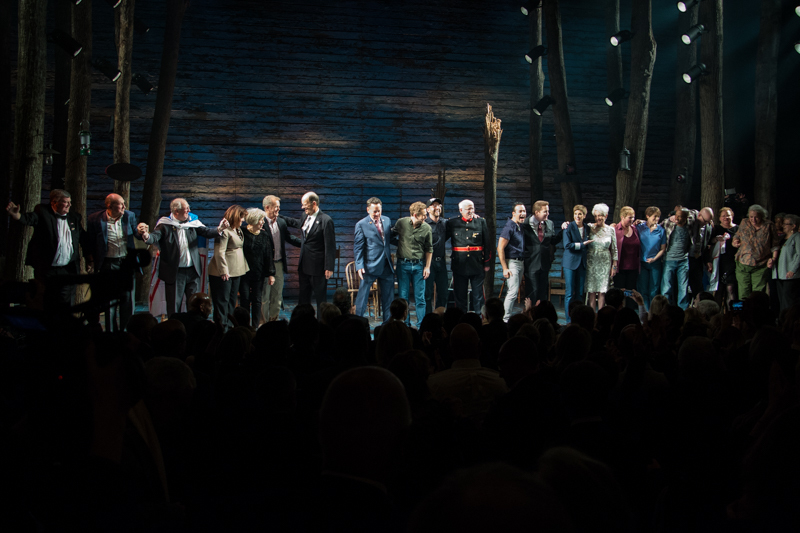 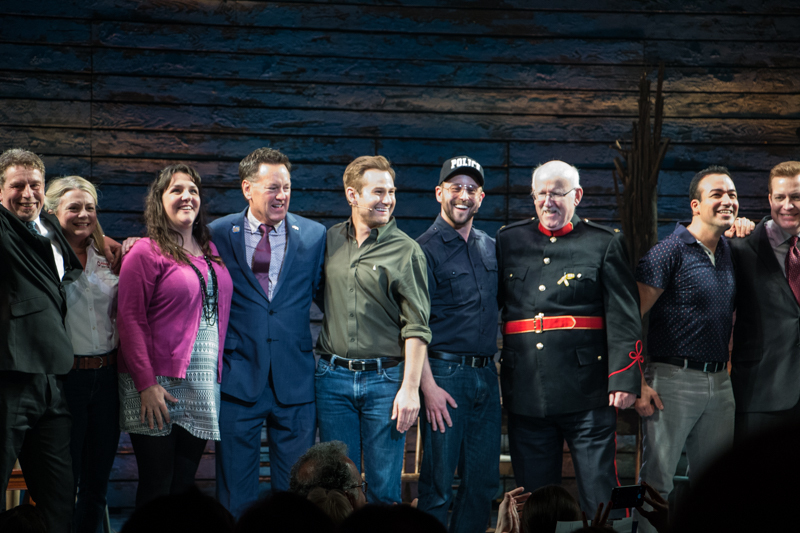 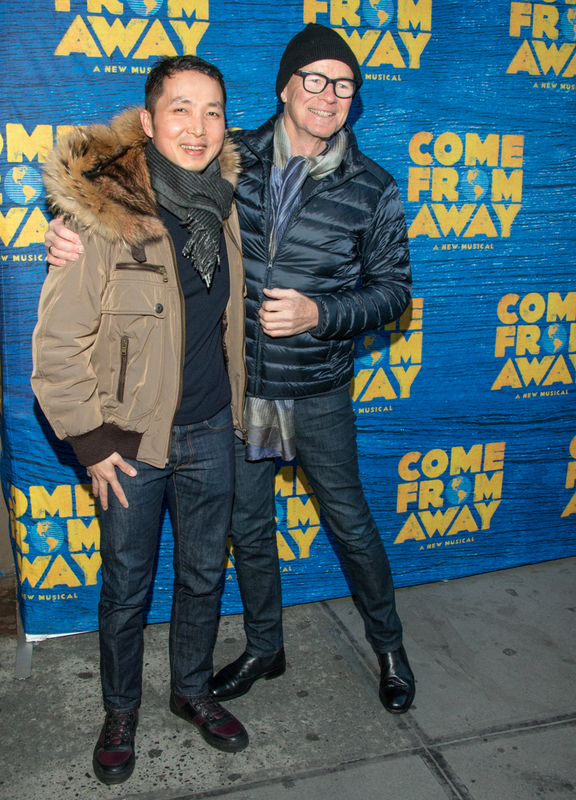 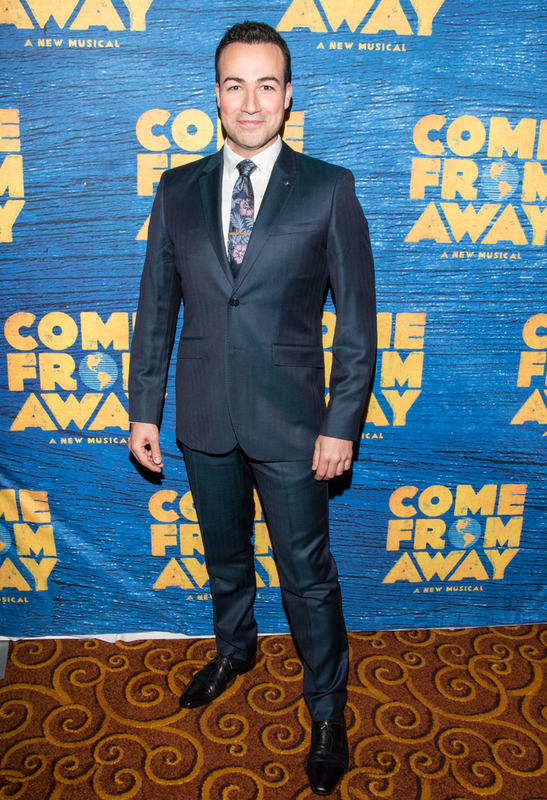 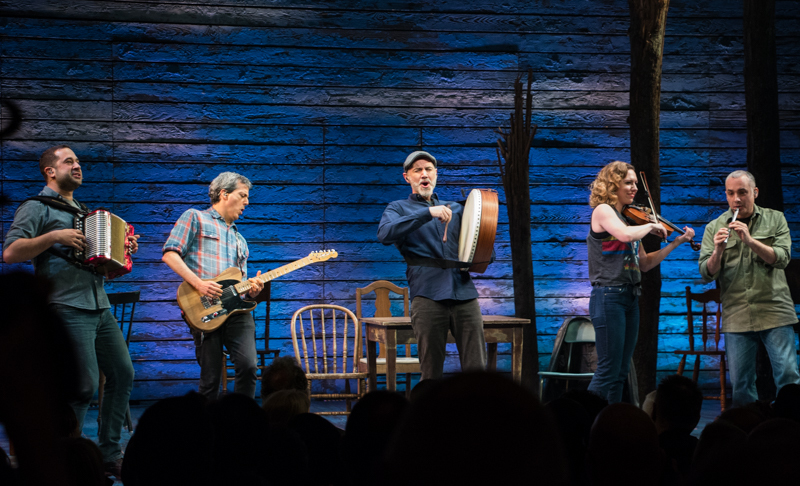 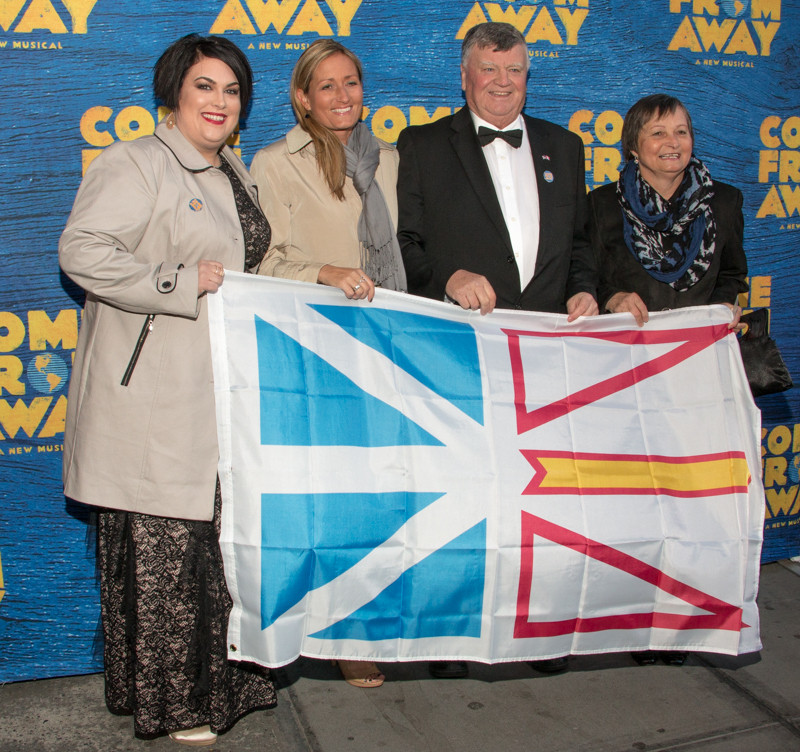 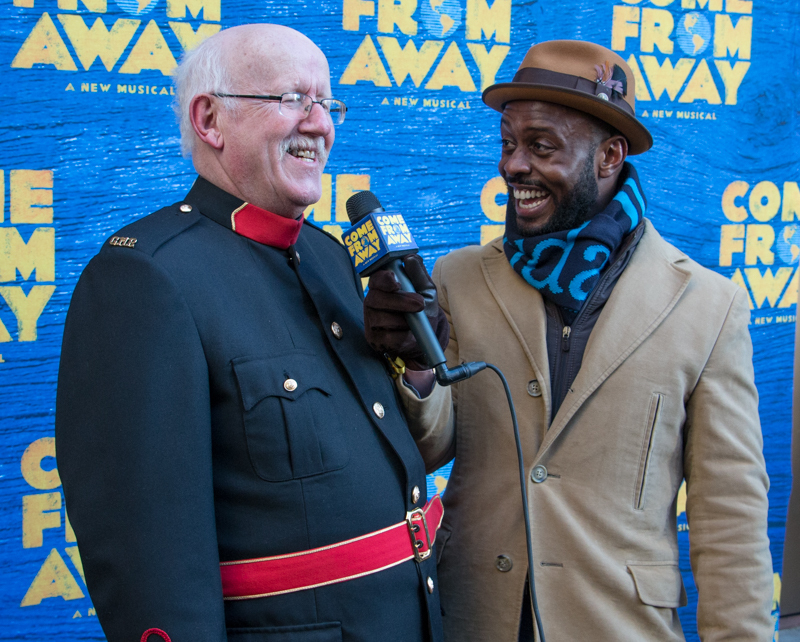 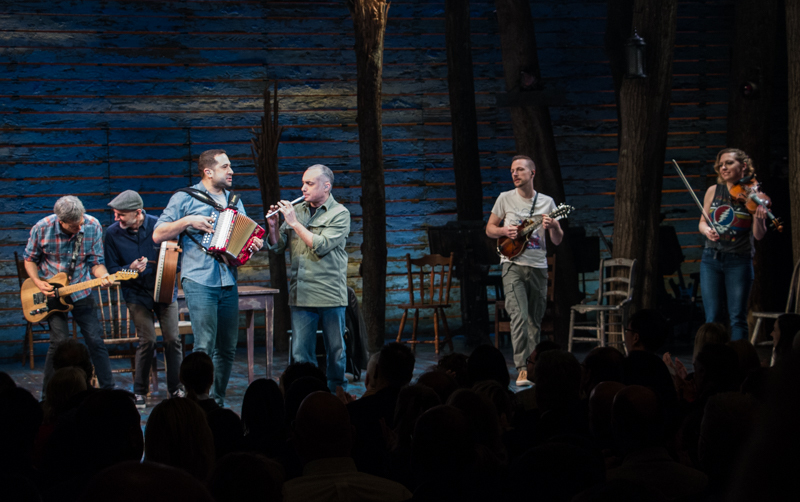 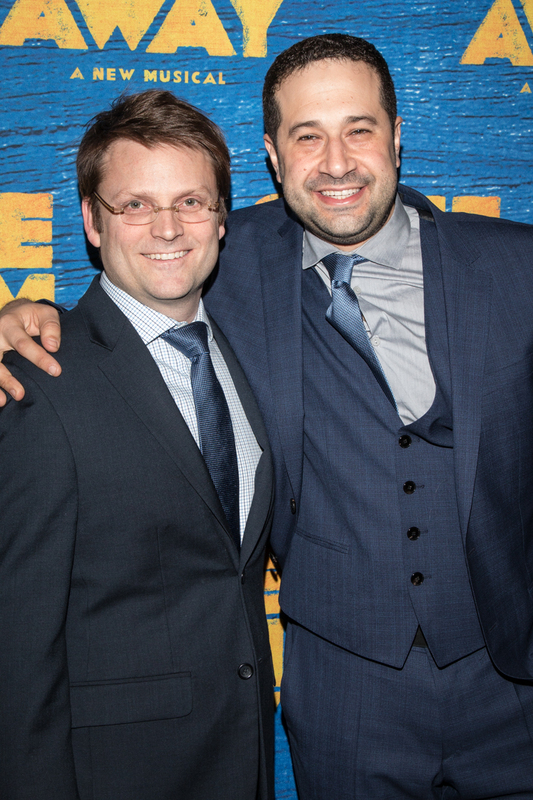 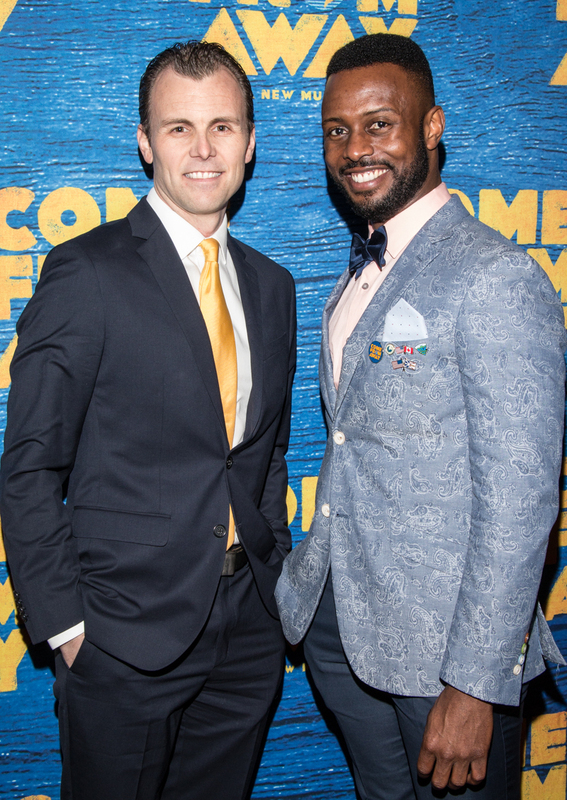 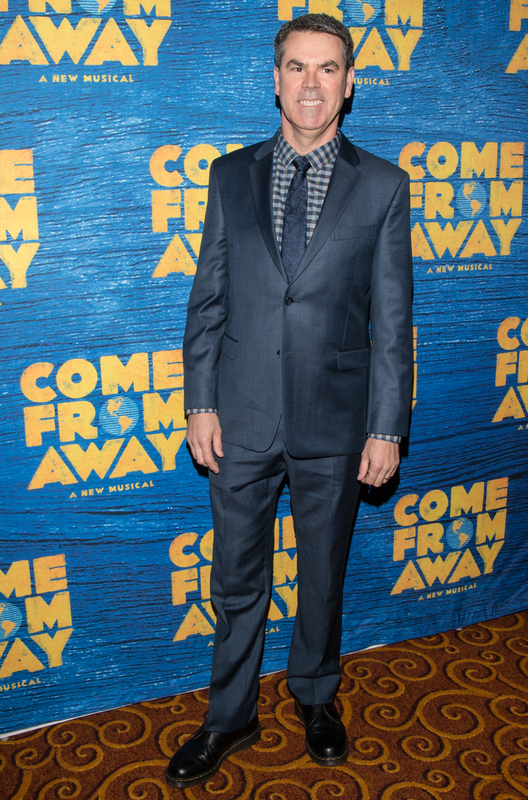 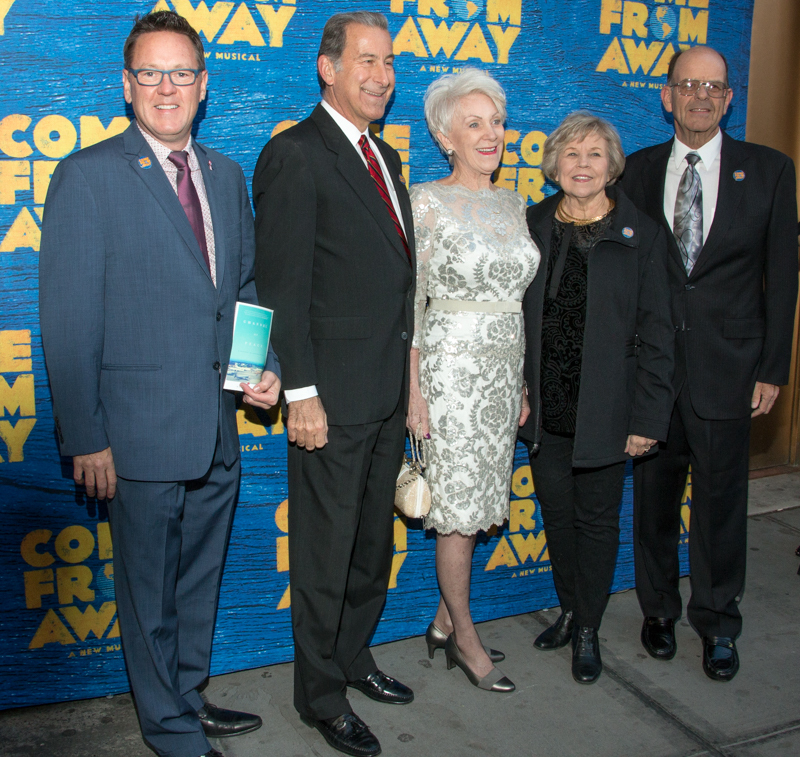 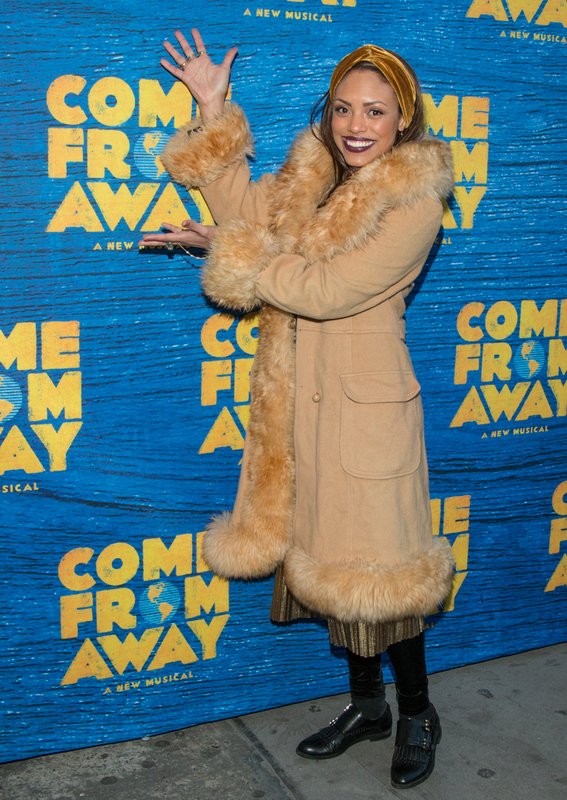 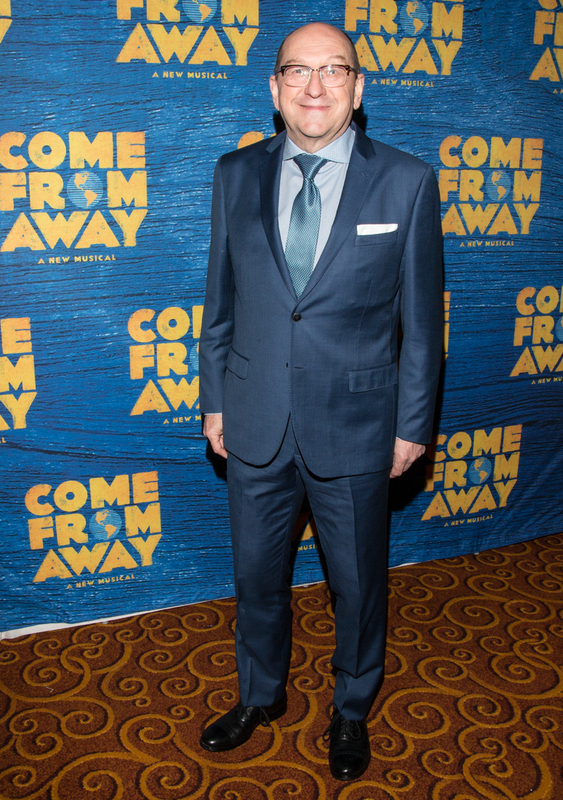 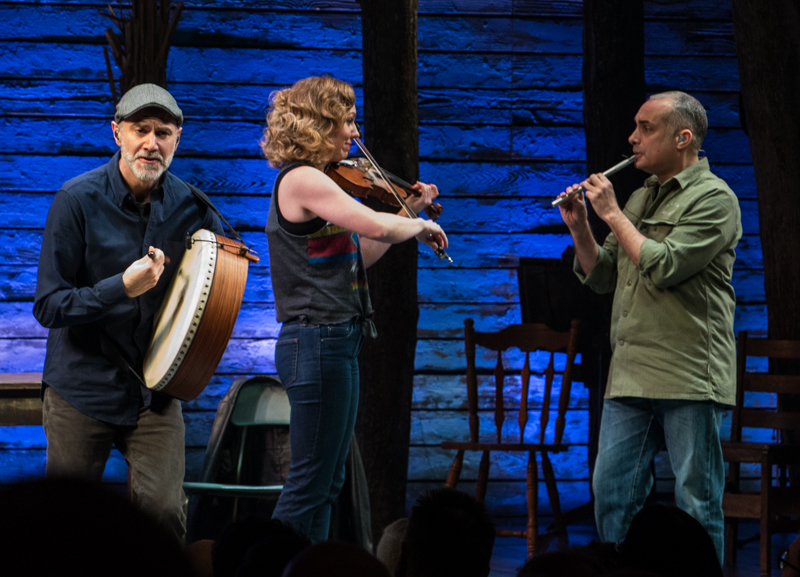 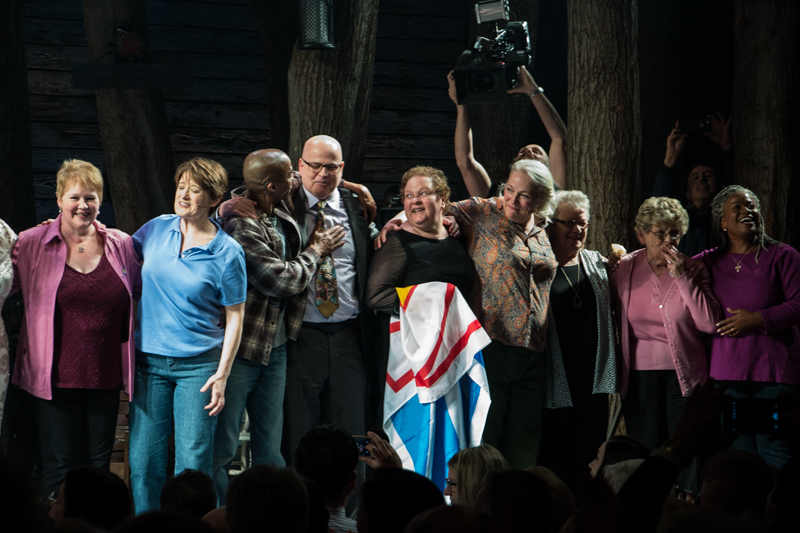 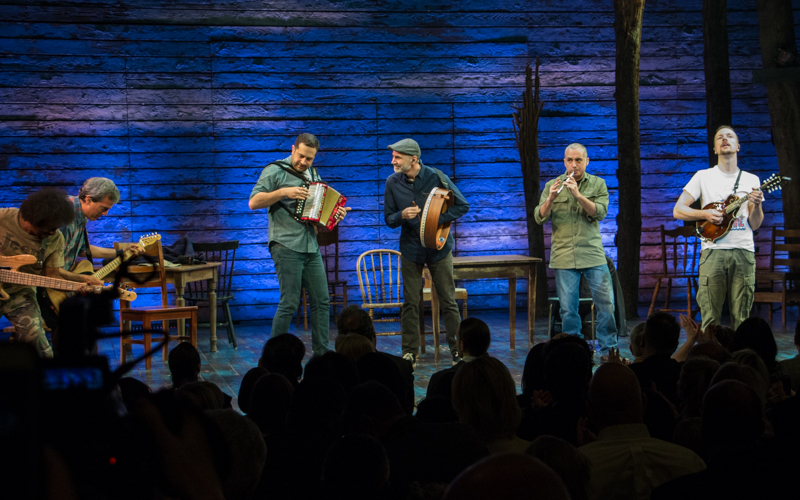 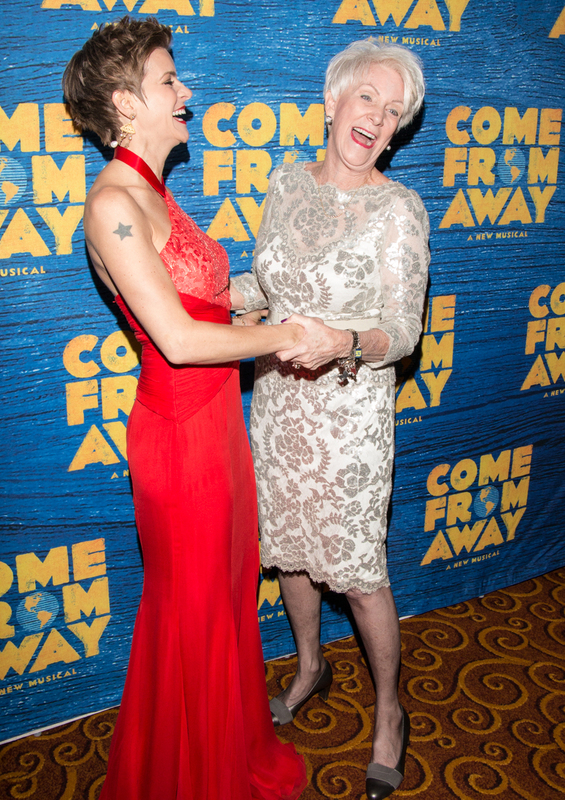 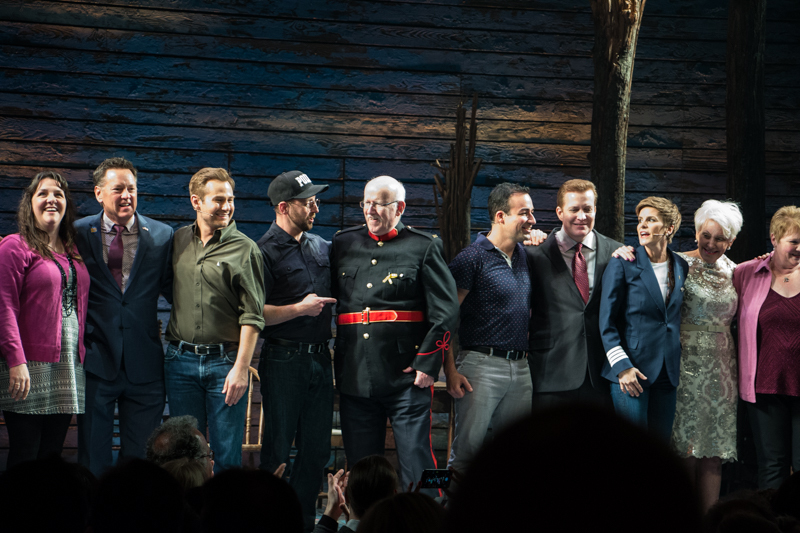 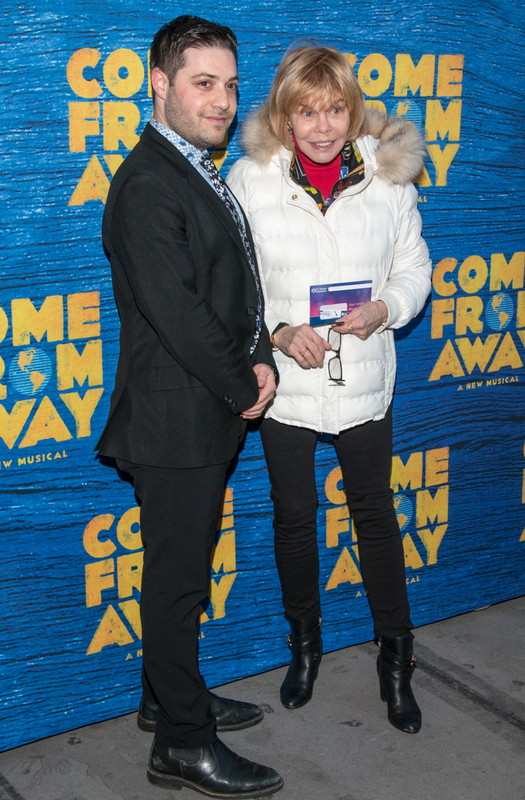 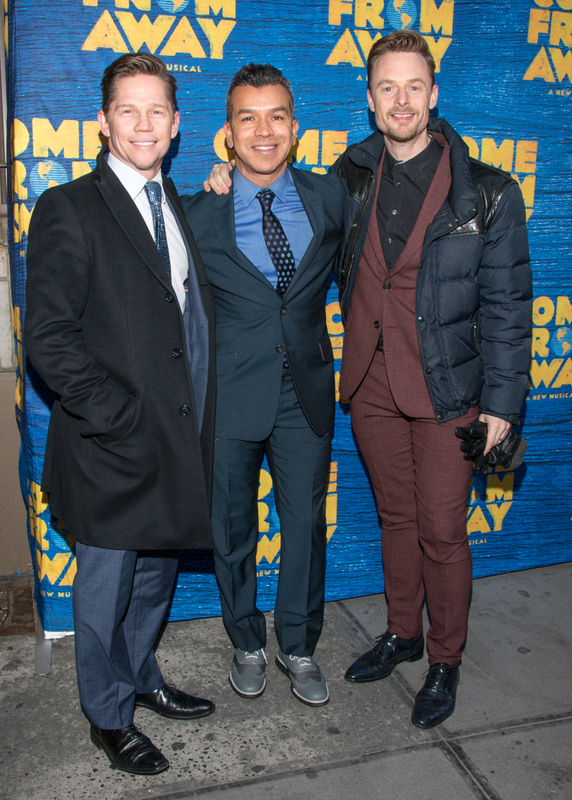 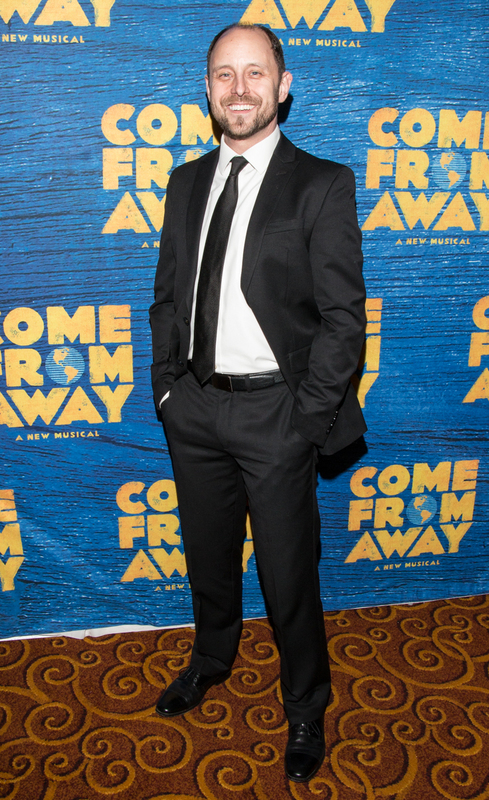 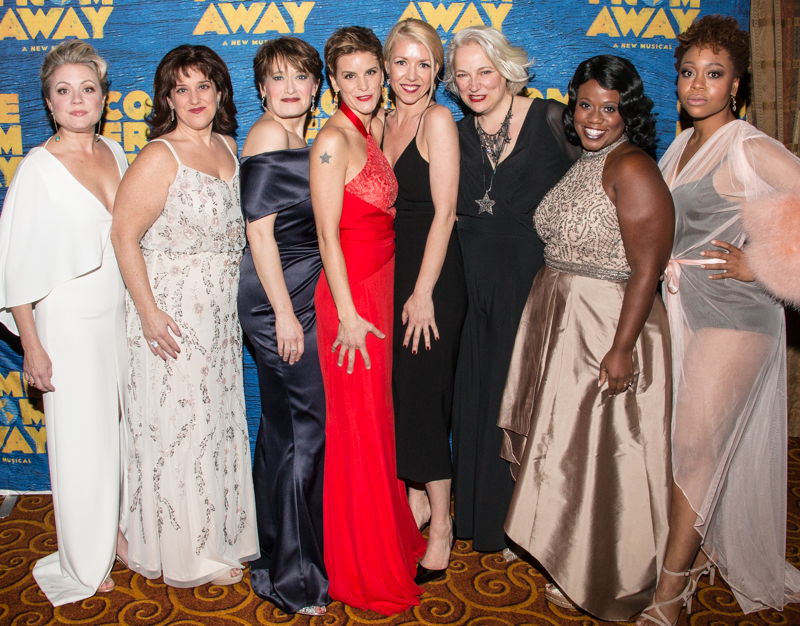 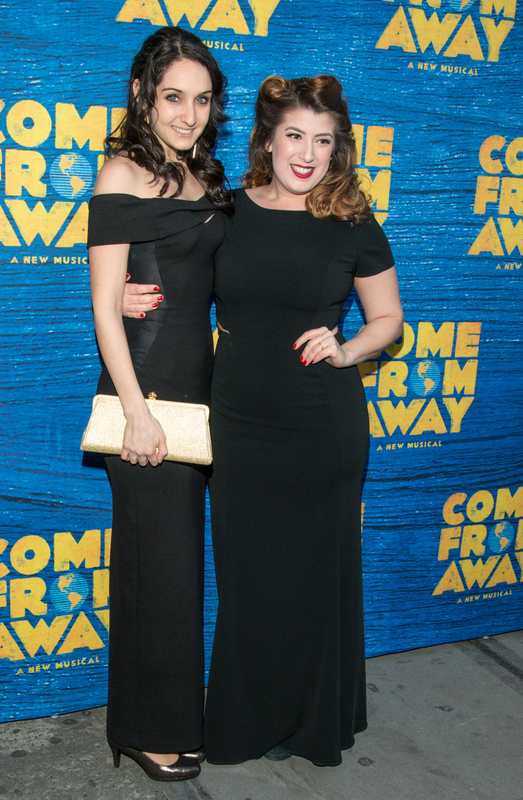 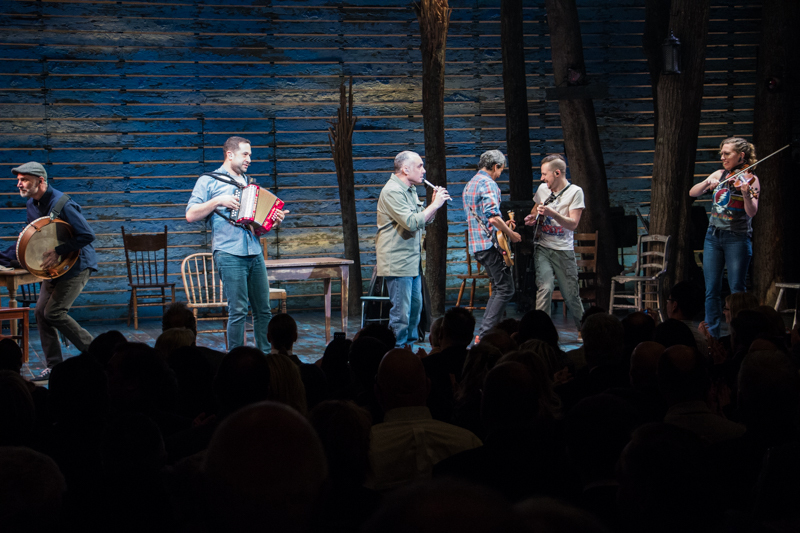 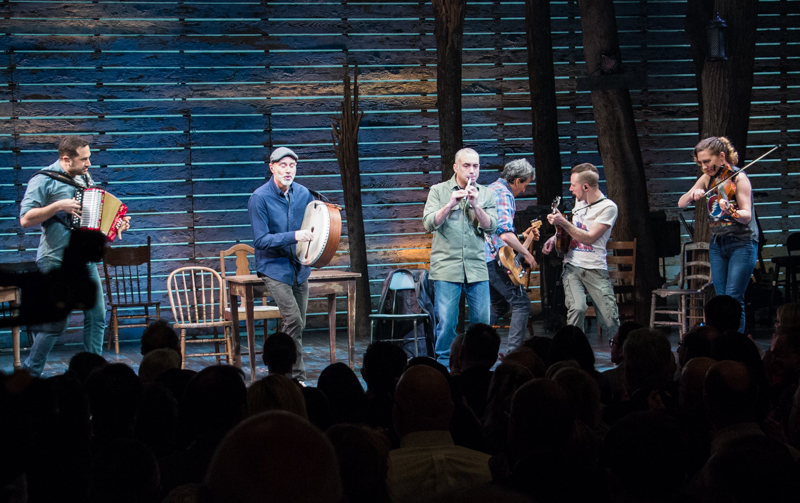 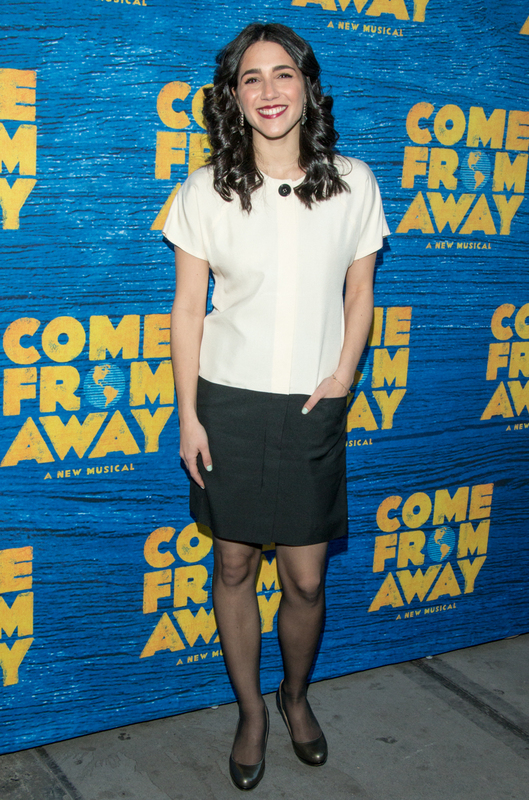 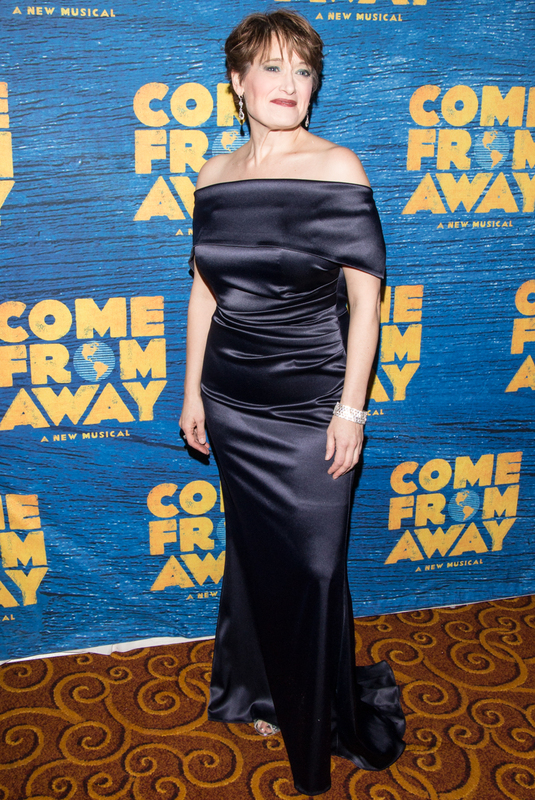 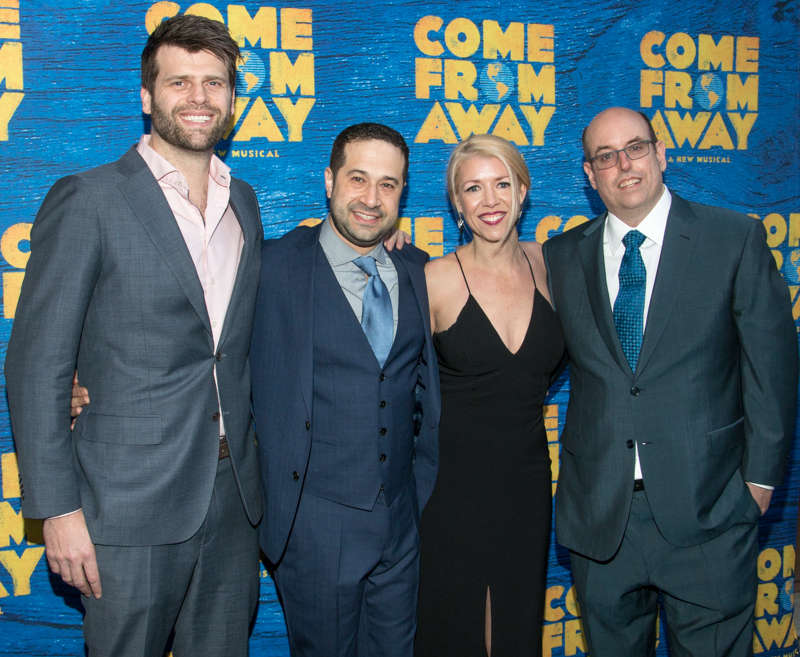 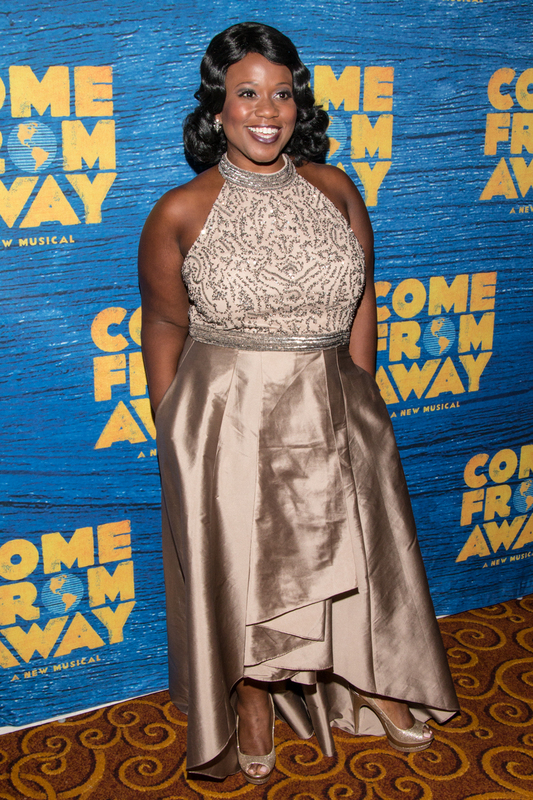 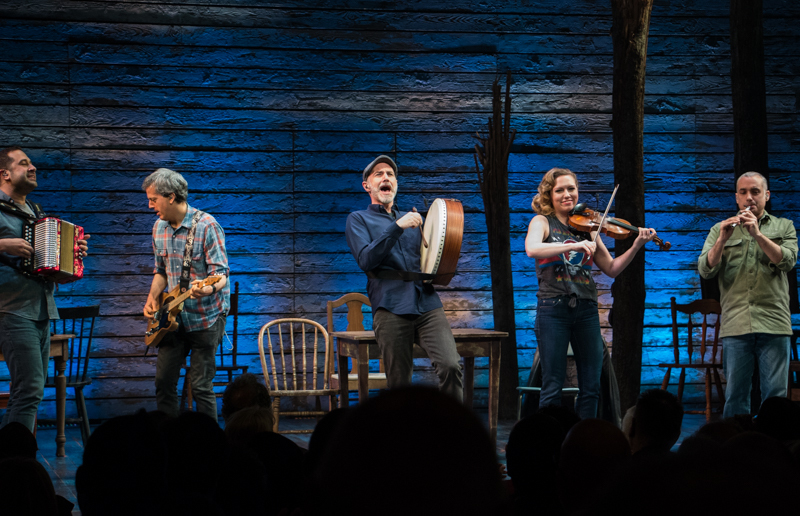 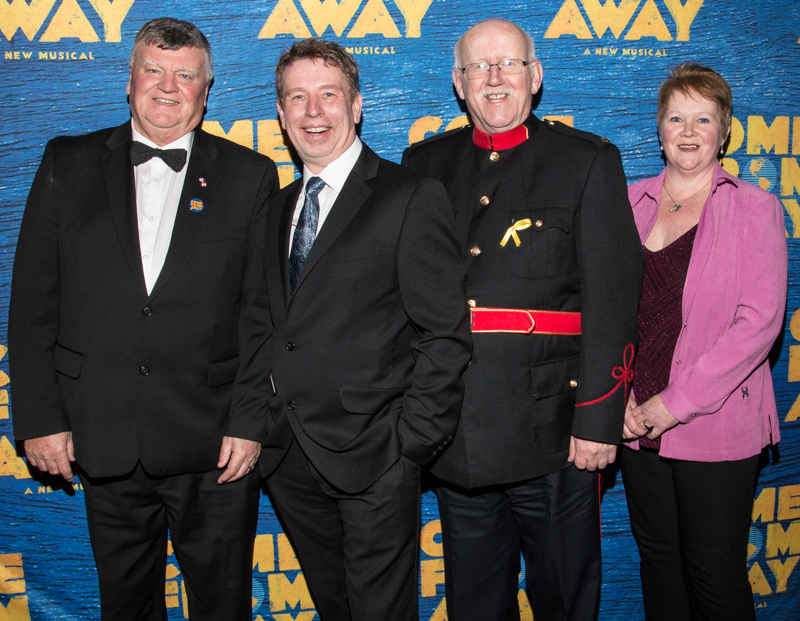 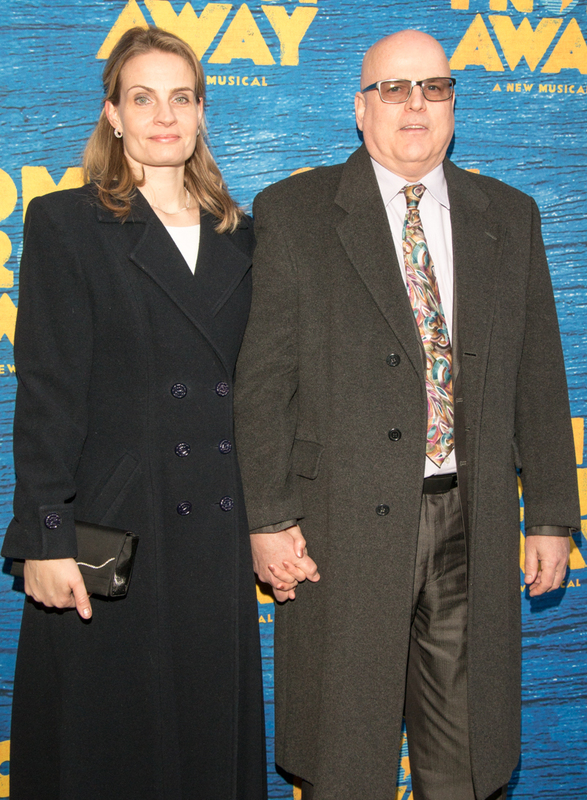 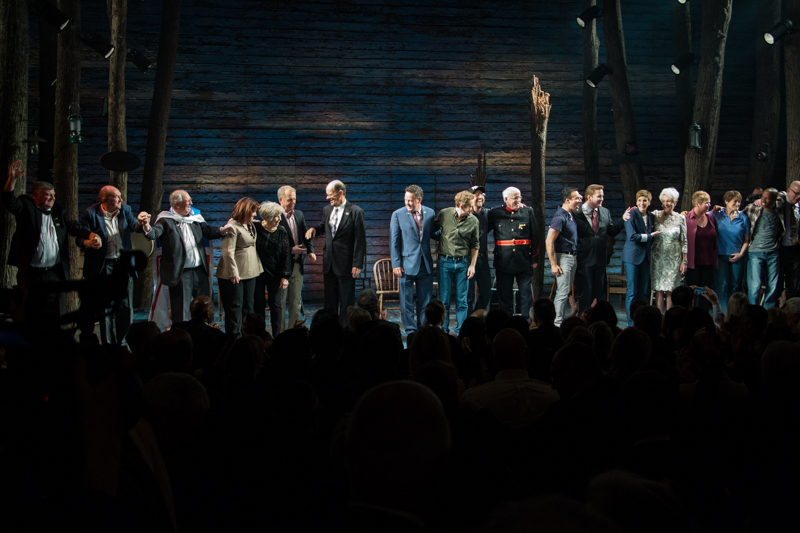 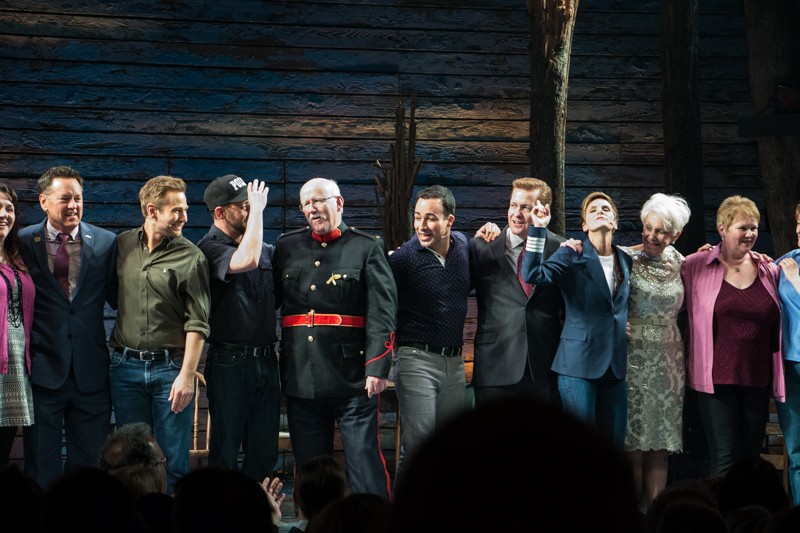 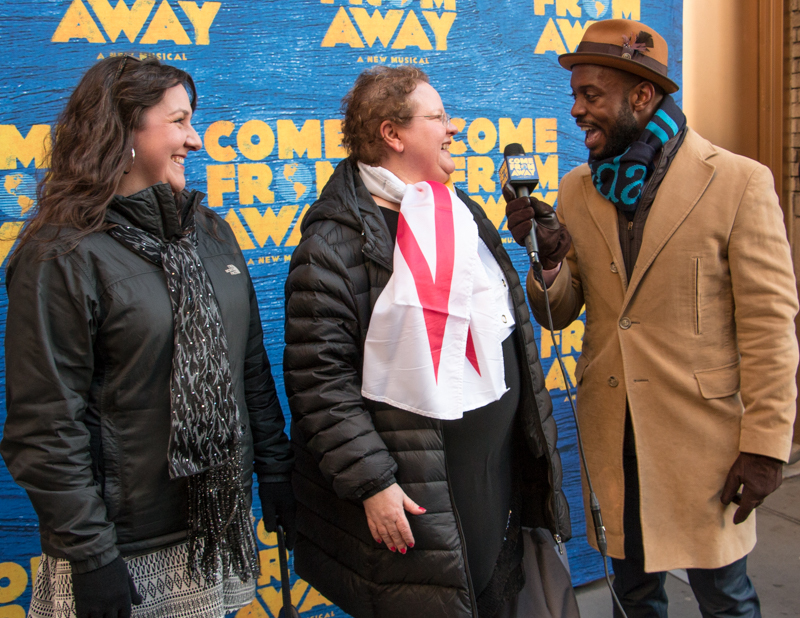 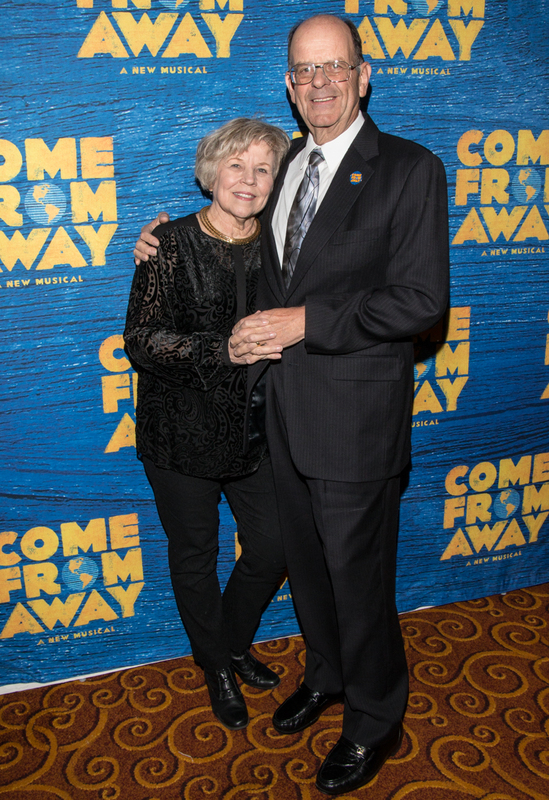 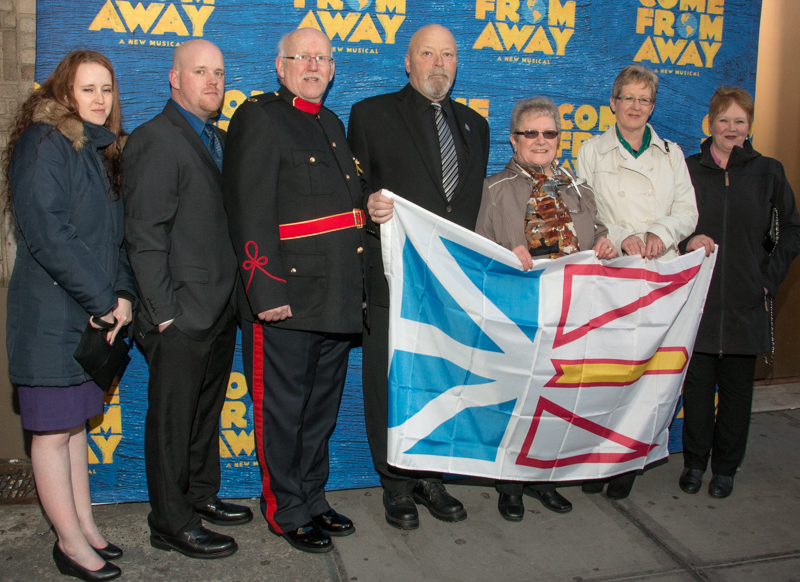 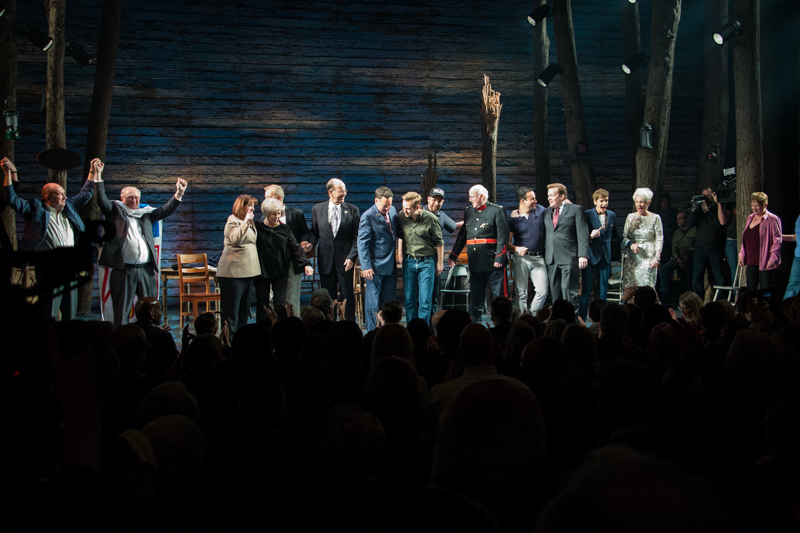 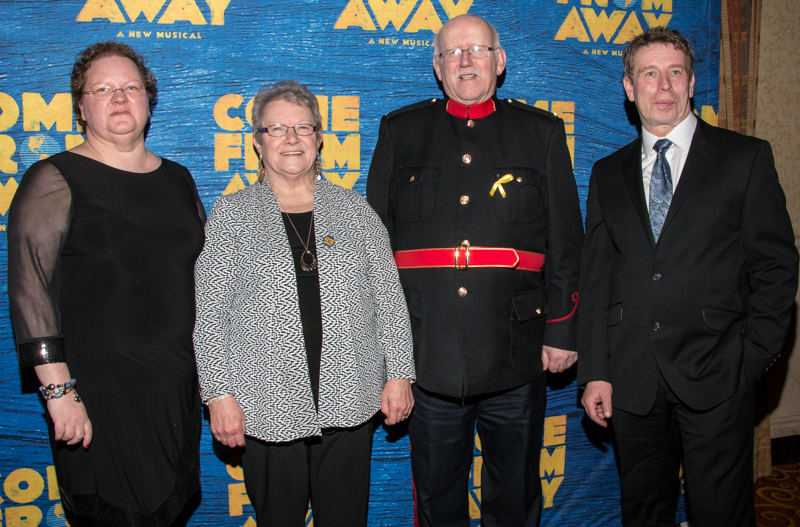 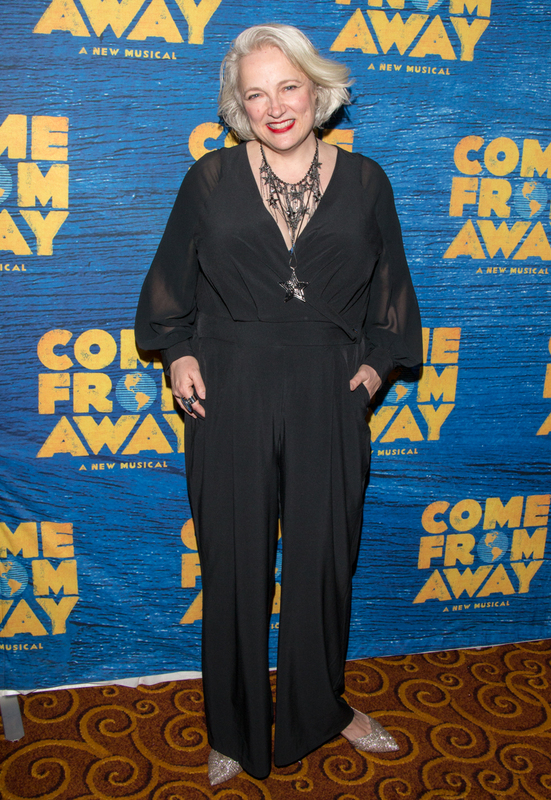 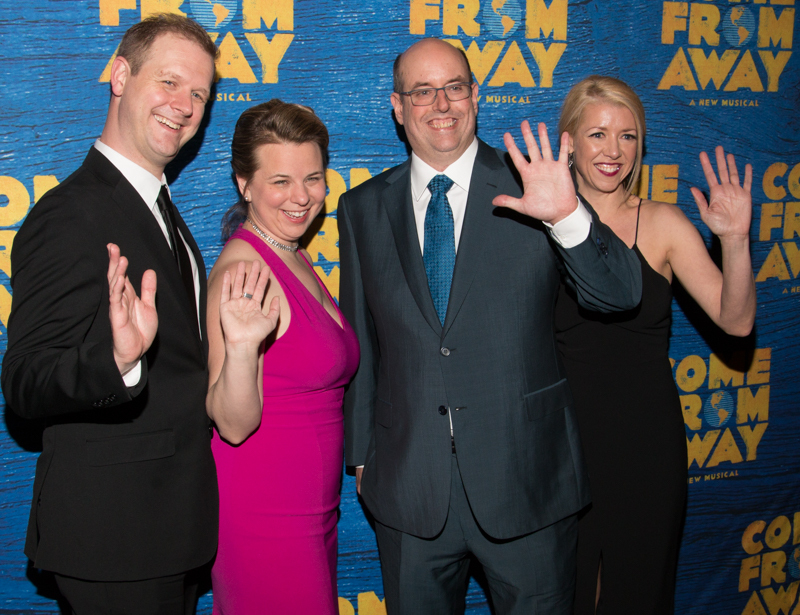 Sunday evening, March 12, New York City welcomed the citizens of Gander, Canada, to the Broadway premiere of Come From Away, the touching tale of a small community that opened its arms to almost 7,000 passengers from commercial airlines that were grounded as a result of the attacks of September 11, 2001. 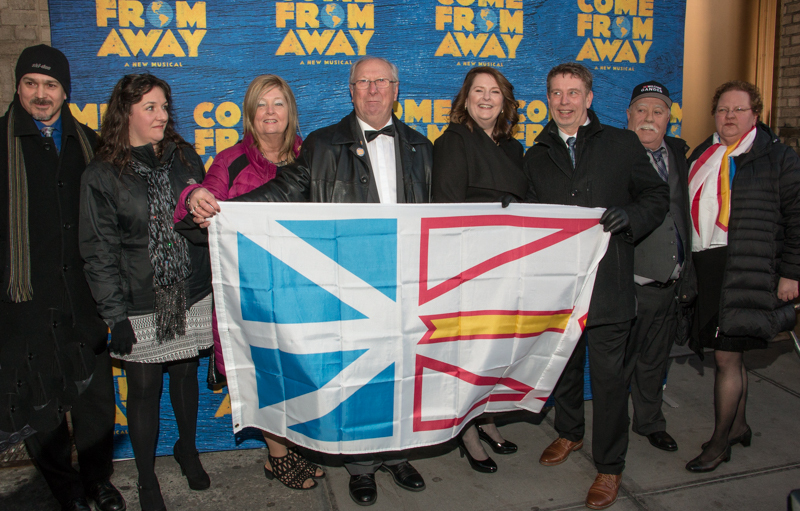 In a heartbeat, 38 planes and 6,579 passengers were forced to land in Gander, Newfoundland, doubling the population of one small town on the edge of the world. 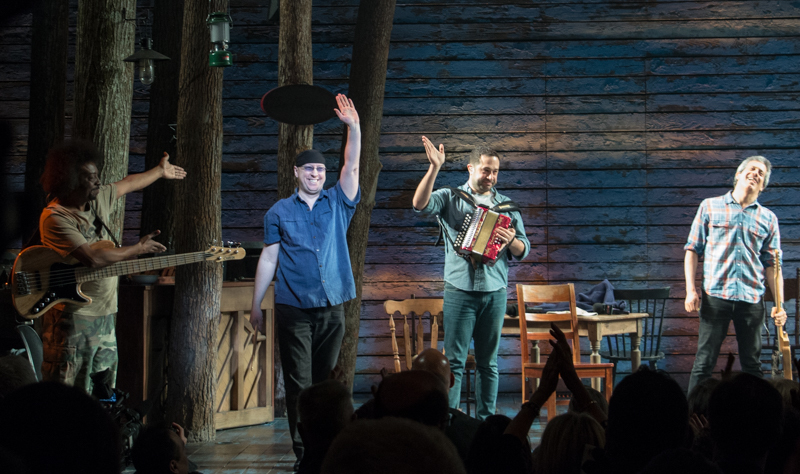 In rousing song and dance, the stories of countless passengers and community who united to create a sense of hope in a suddenly senseless world. 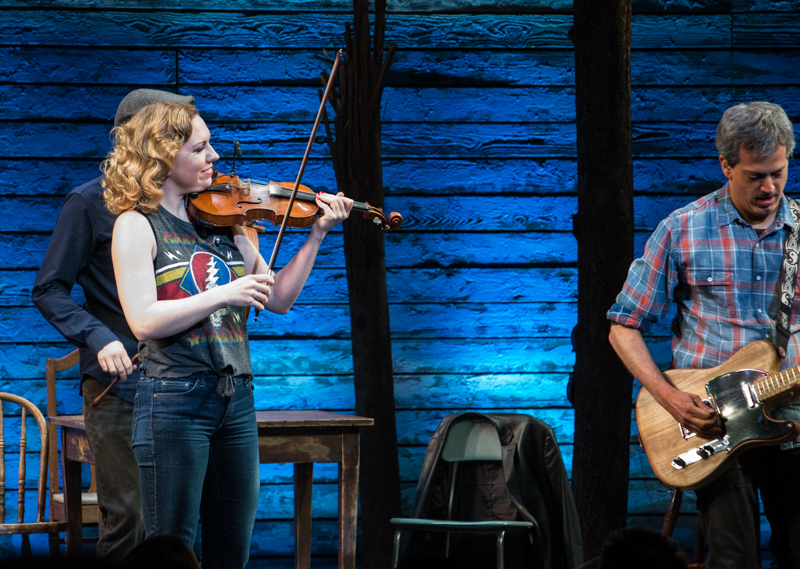 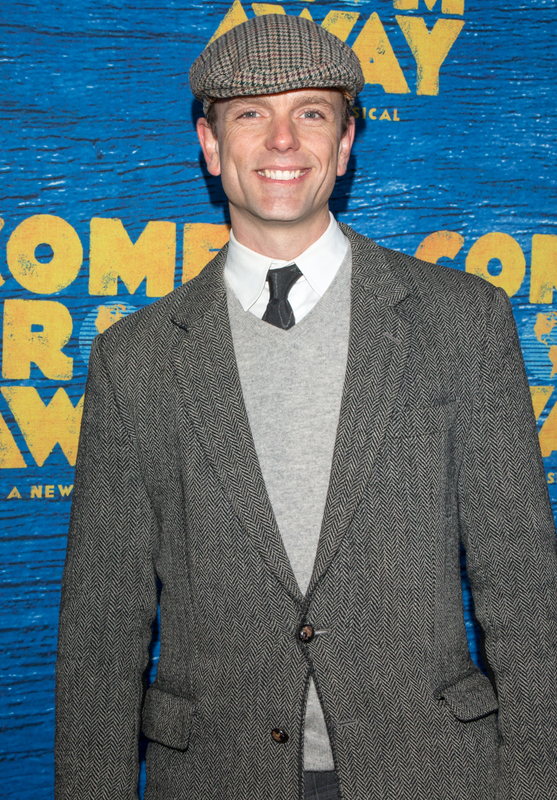 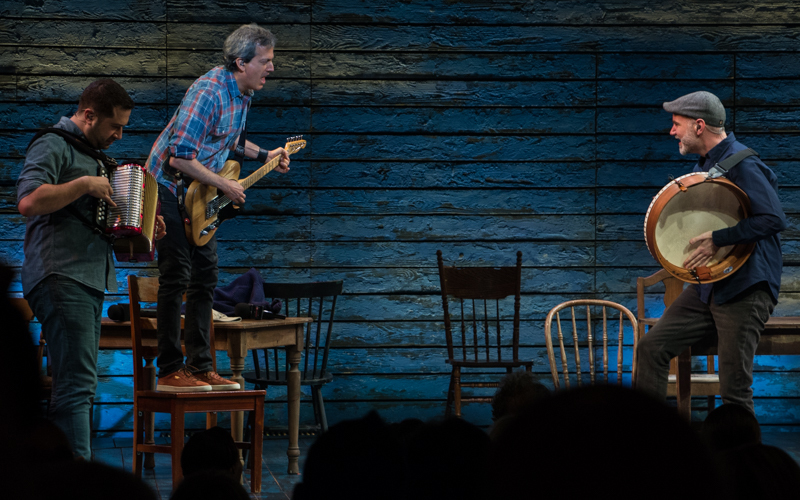 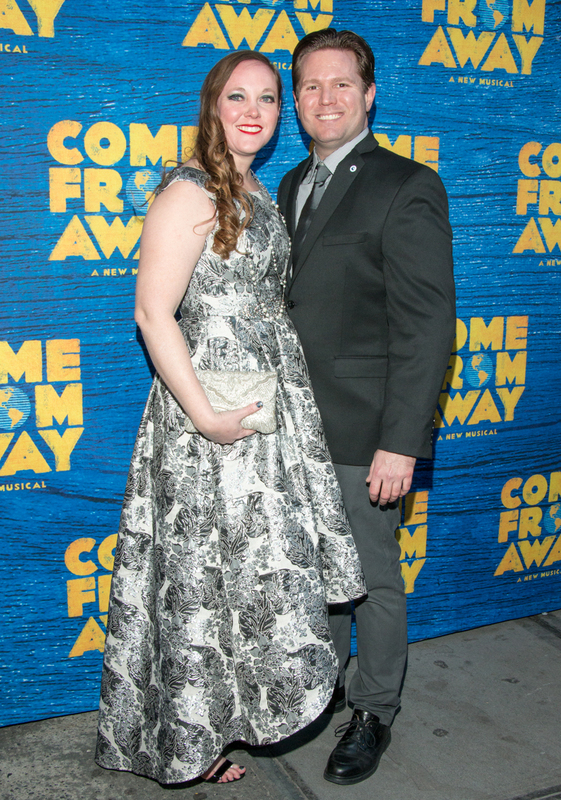 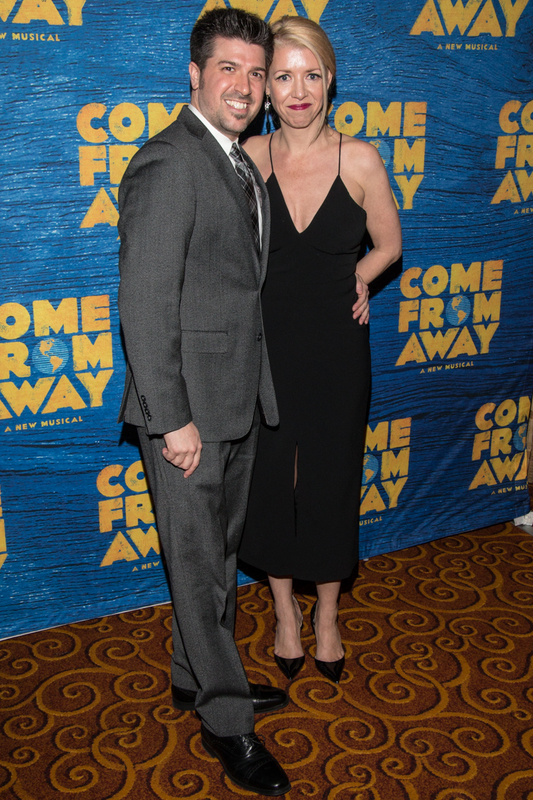 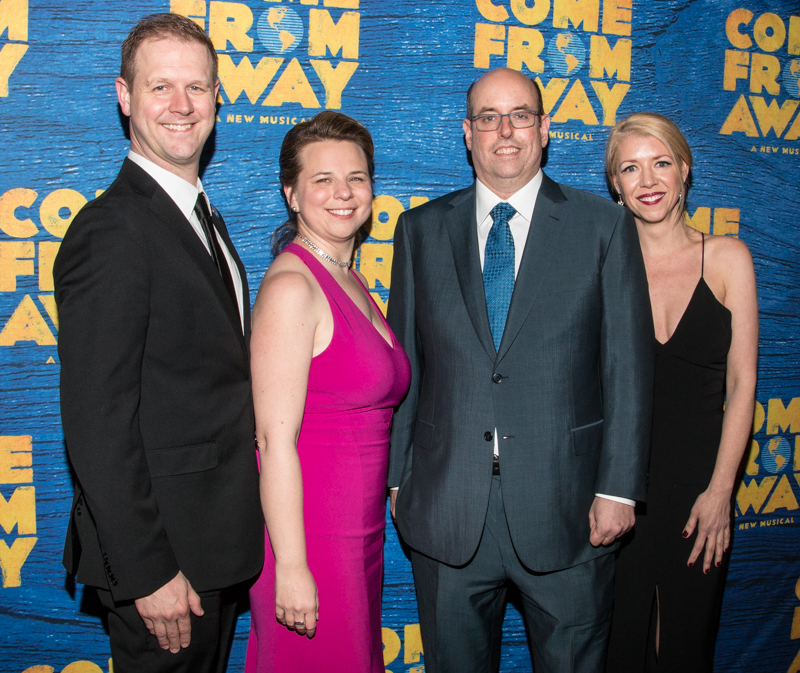 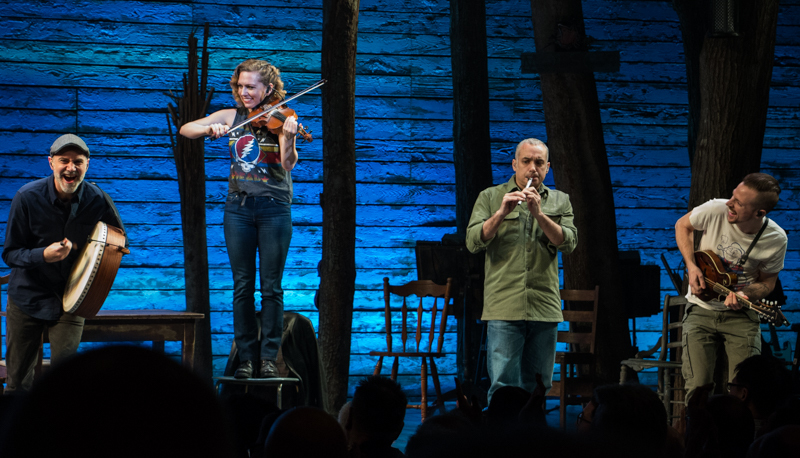 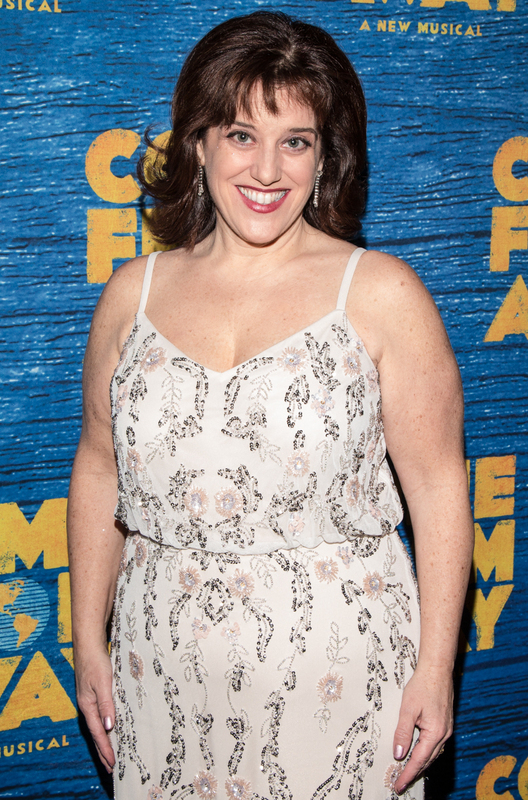 Come From Away is playing at the Gerald Schoenfeld Theatre (236 West 45th Street) and features book, music and lyrics by Irene Sankoff & David Hein, direction by Christopher Ashley, with musical staging by Kelly Devine. 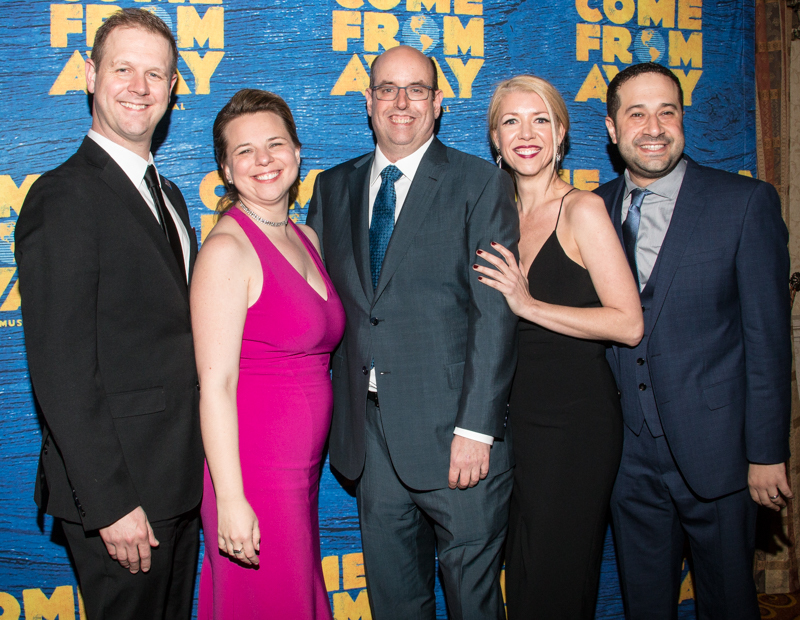 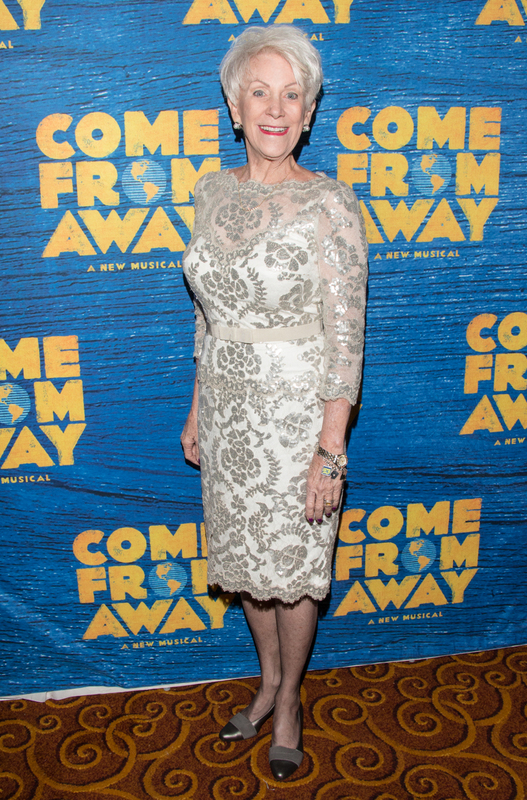 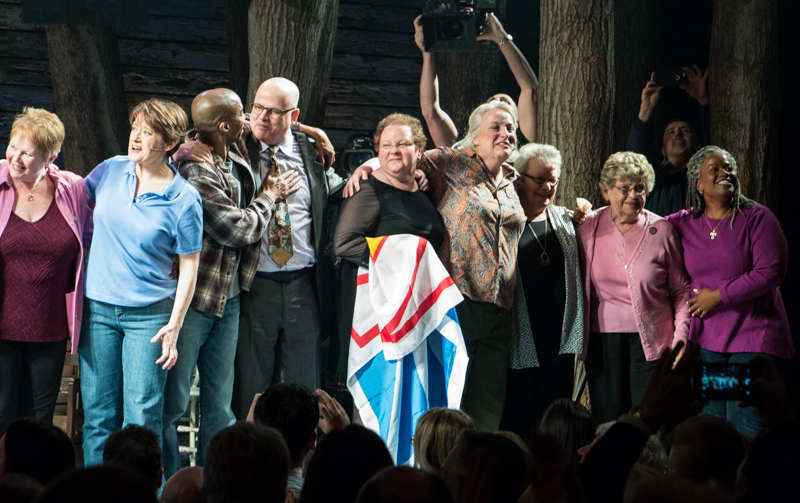 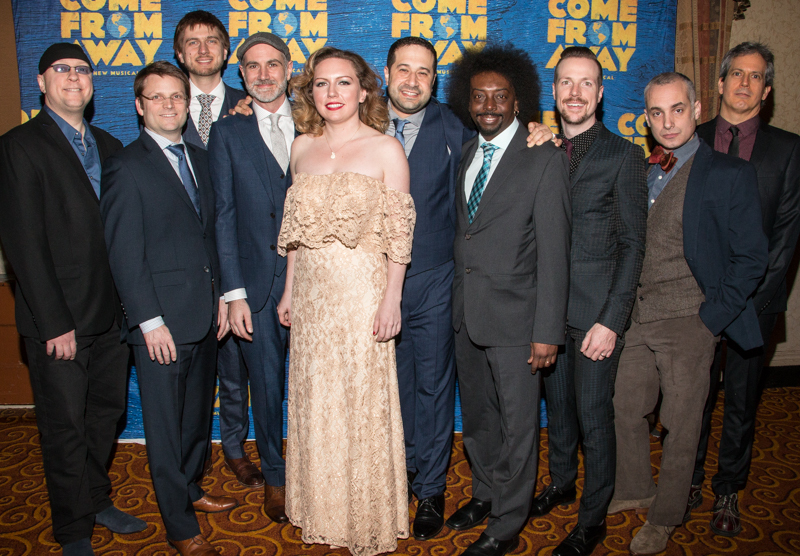 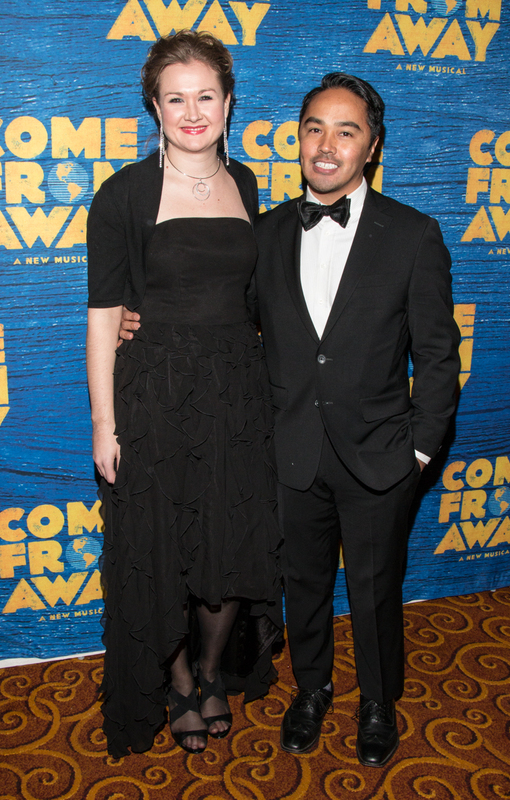 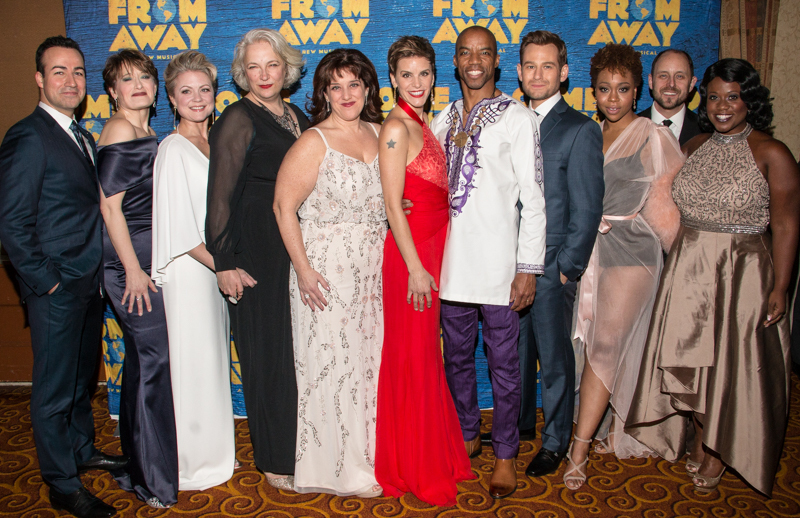 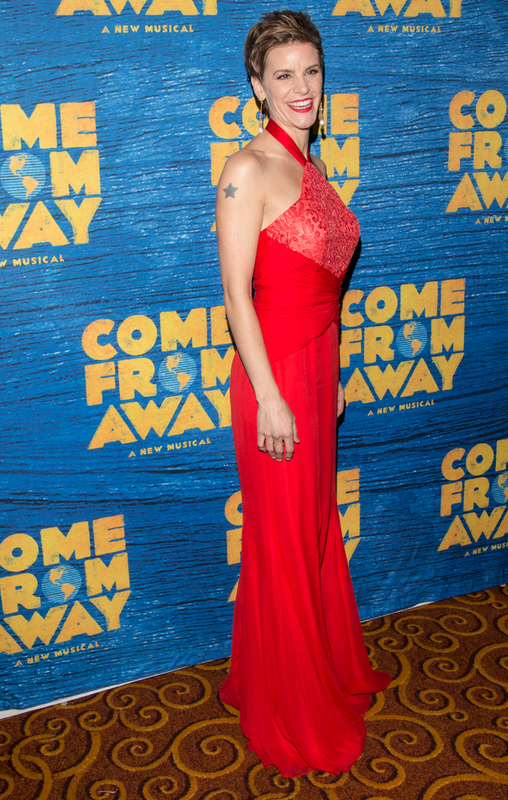 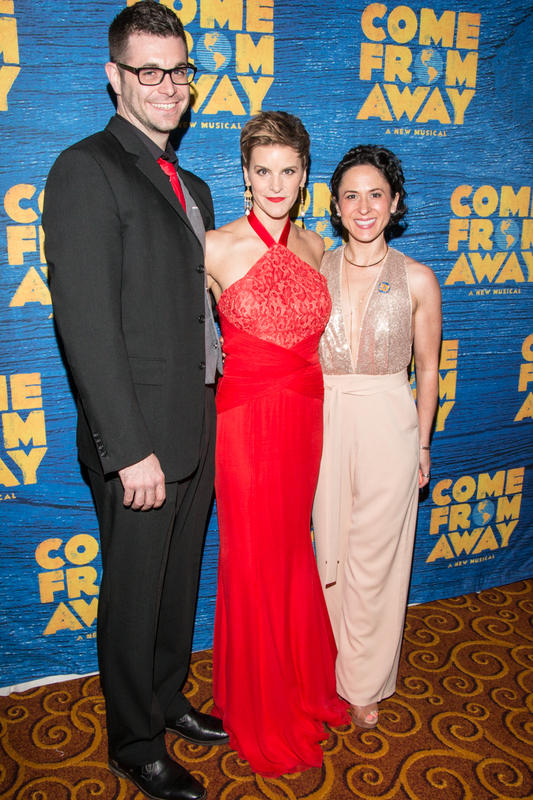 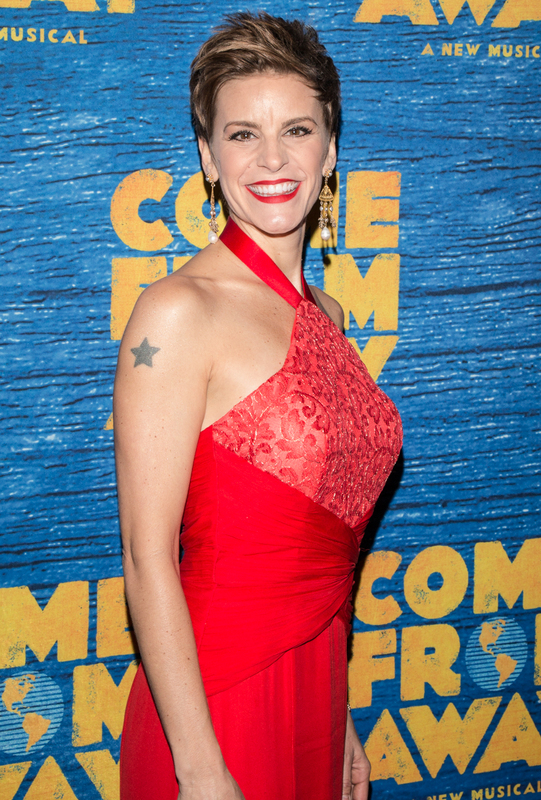 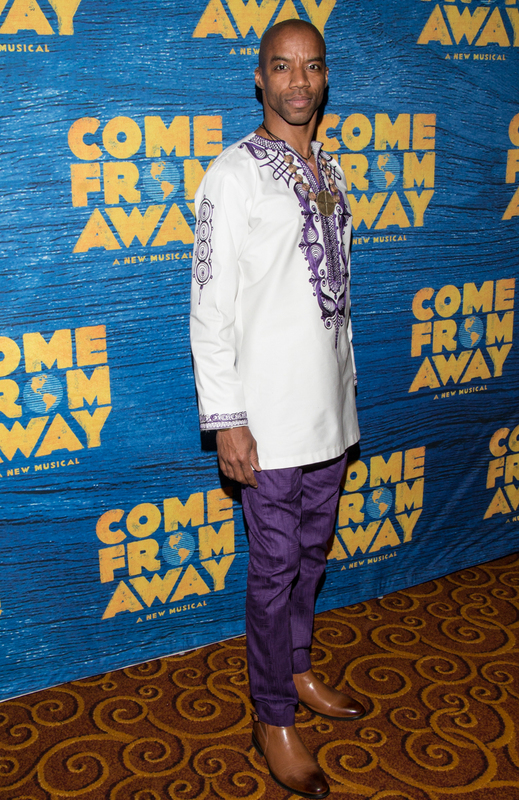 The cast of Come From Away features Petrina Bromley, Geno Carr, Jenn Colella, Joel Hatch, Rodney Hicks, Kendra Kassebaum, Chad Kimball, Lee MacDougall, Caesar Samayoa, Q. Smith, Astrid Van Wieren, Sharon Wheatley, Josh Breckenridge, Susan Dunstan, Tamika Lawrence and Tony LePage. 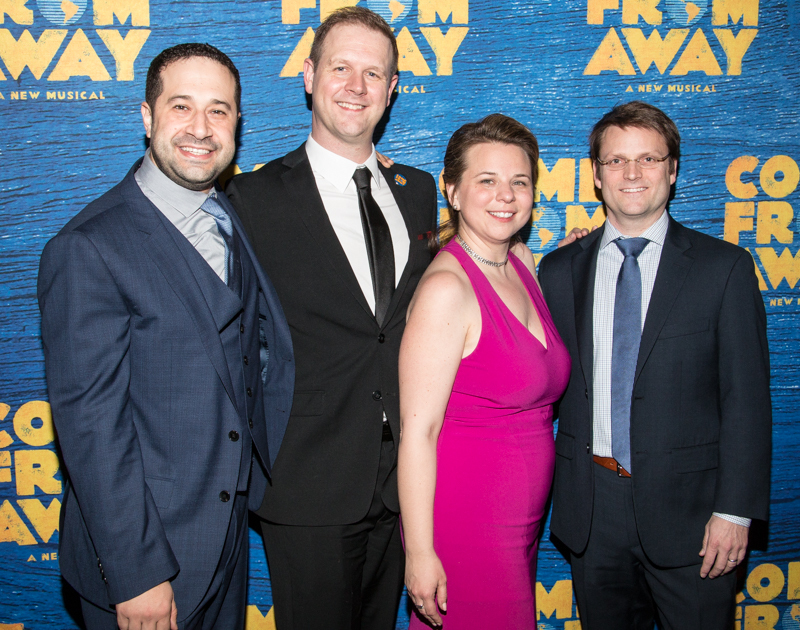 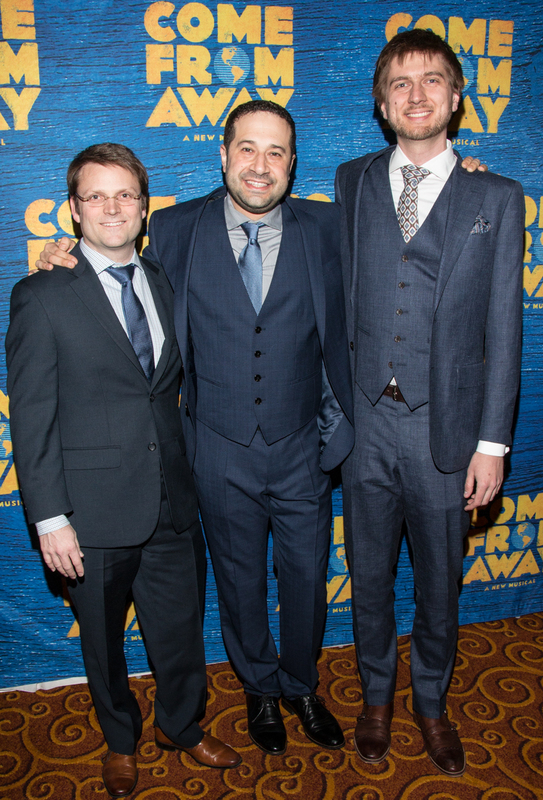 Come From Away features music supervision by Ian Eisendrath, scenic design by Beowulf Boritt, costume design by Toni-Leslie James, lighting design by Howell Binkley, sound design by Gareth Owen, orchestrations by August Eriksmoen, and music arrangements by Ian Eisendrath. 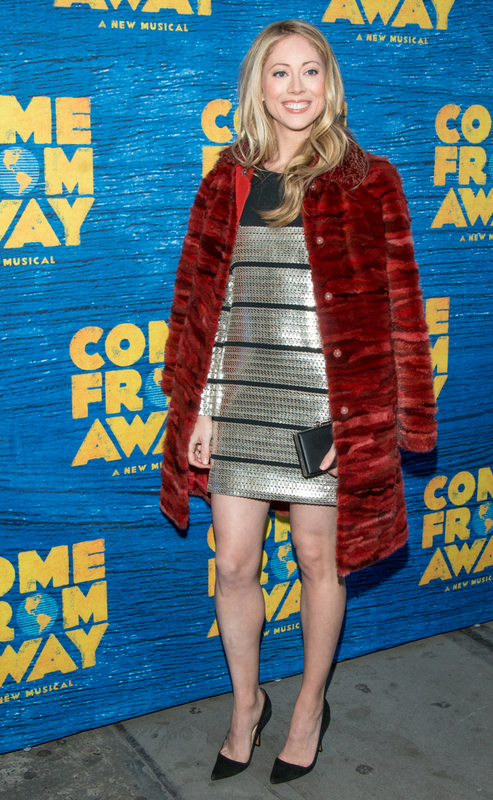 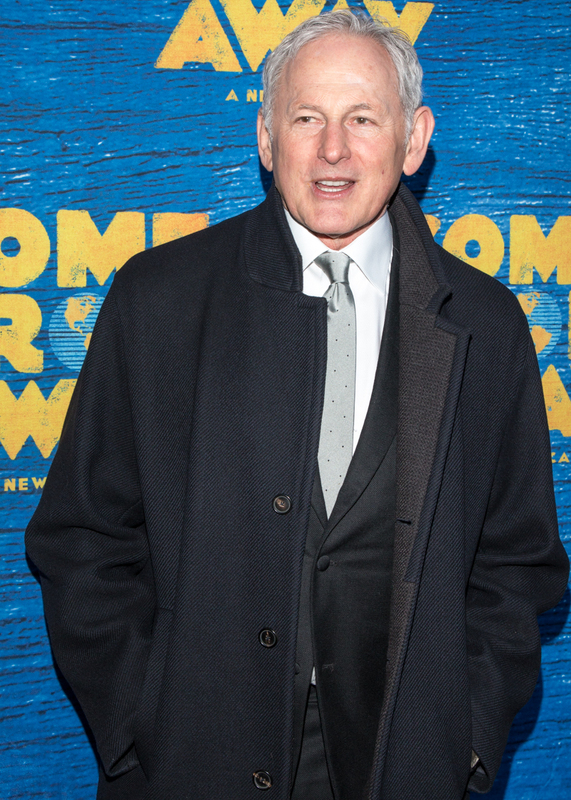 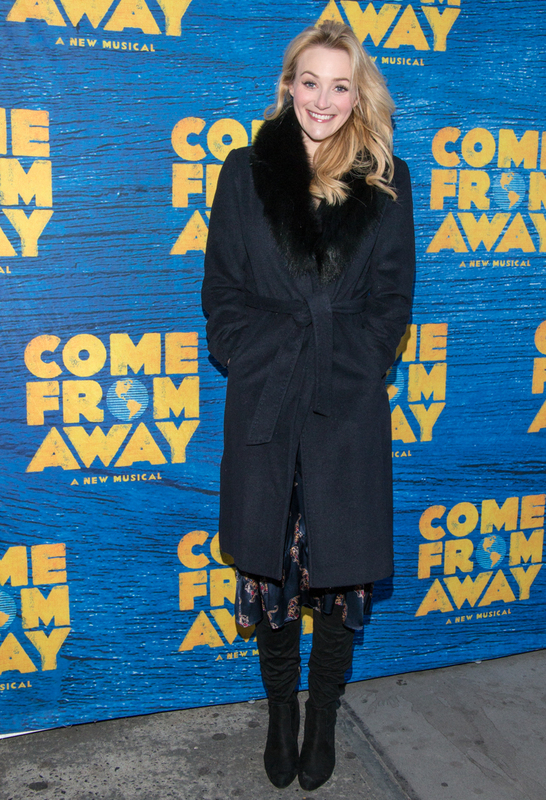 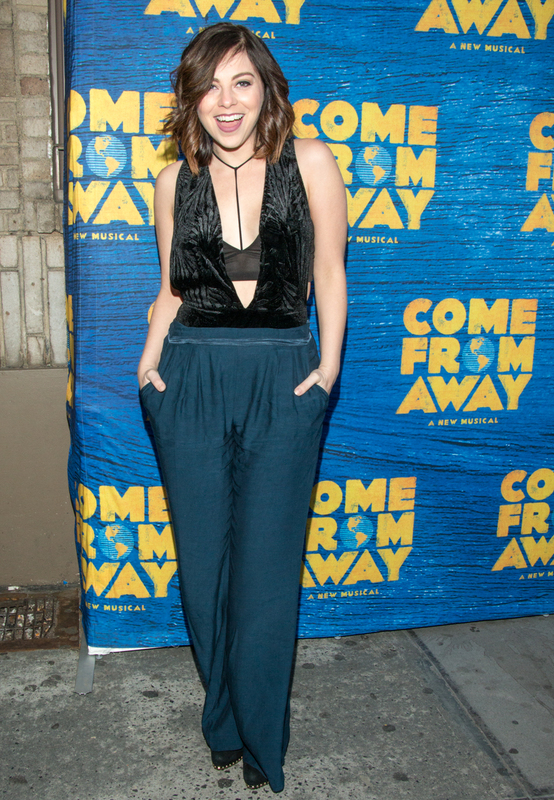 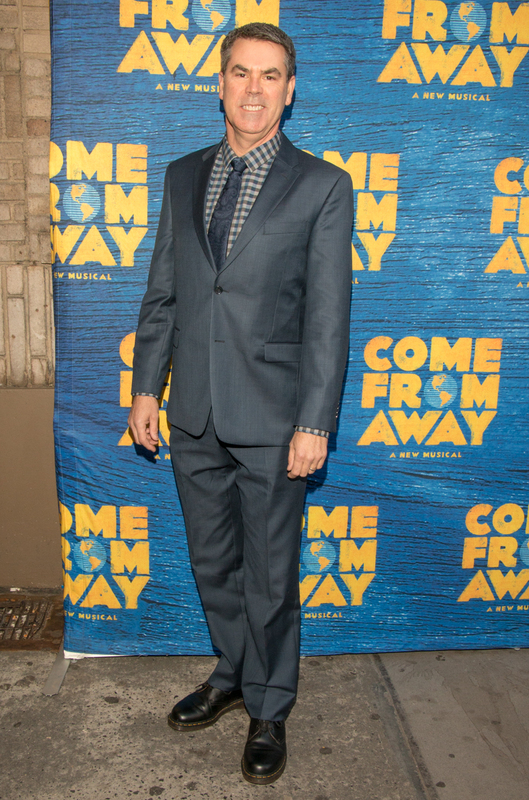 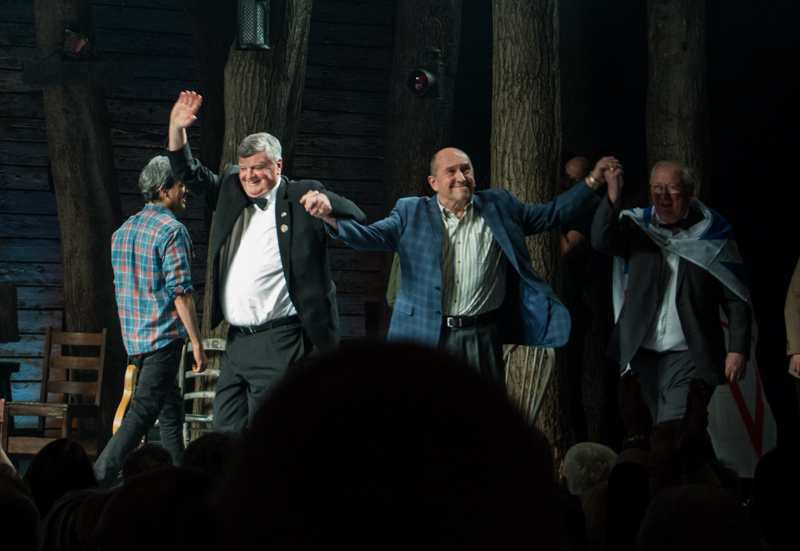 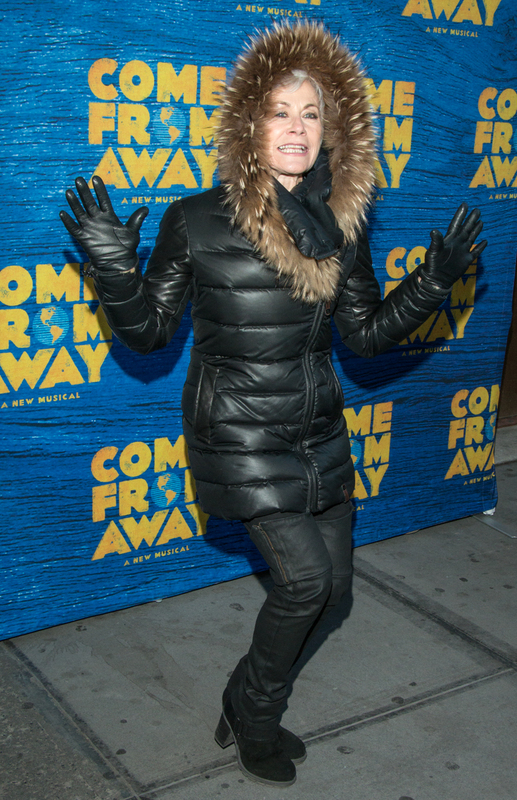 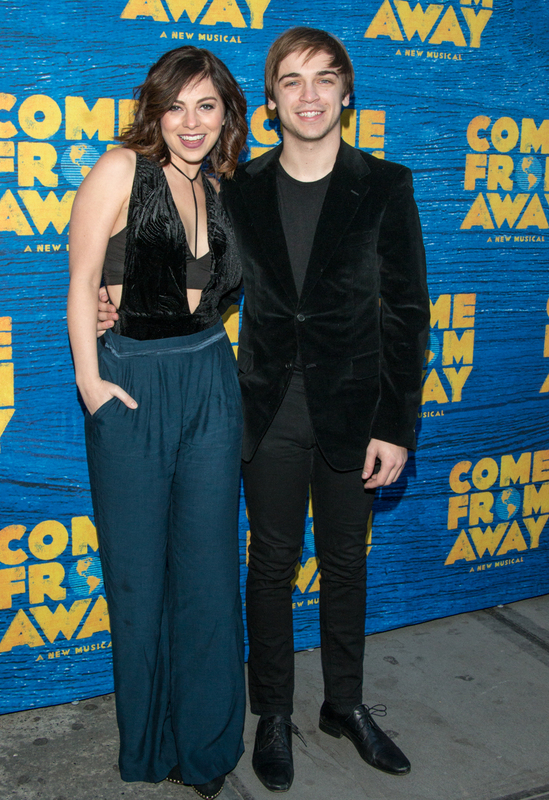 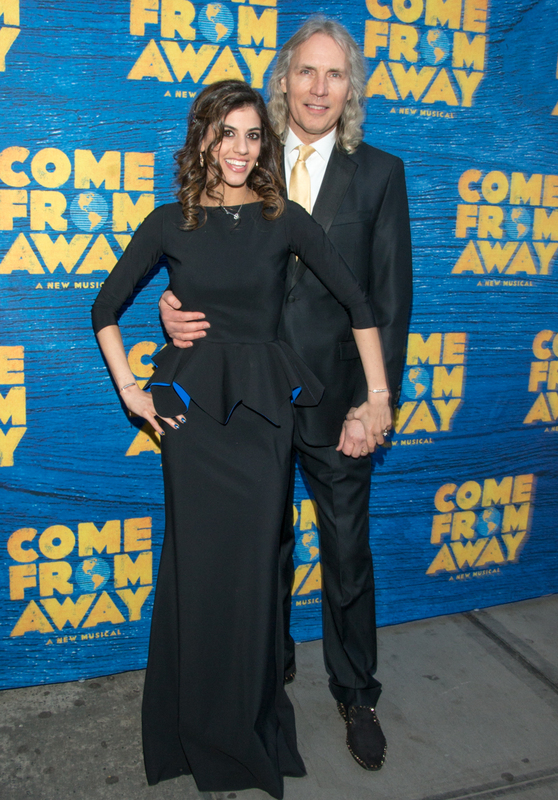 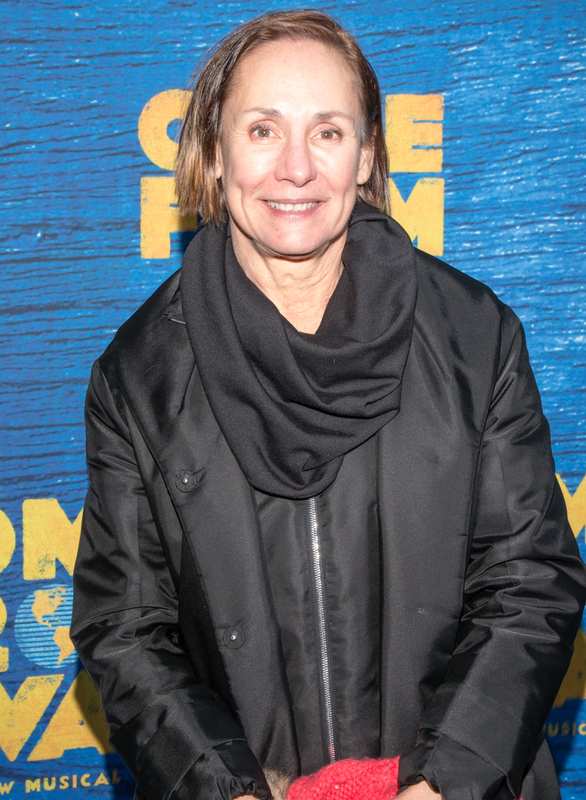 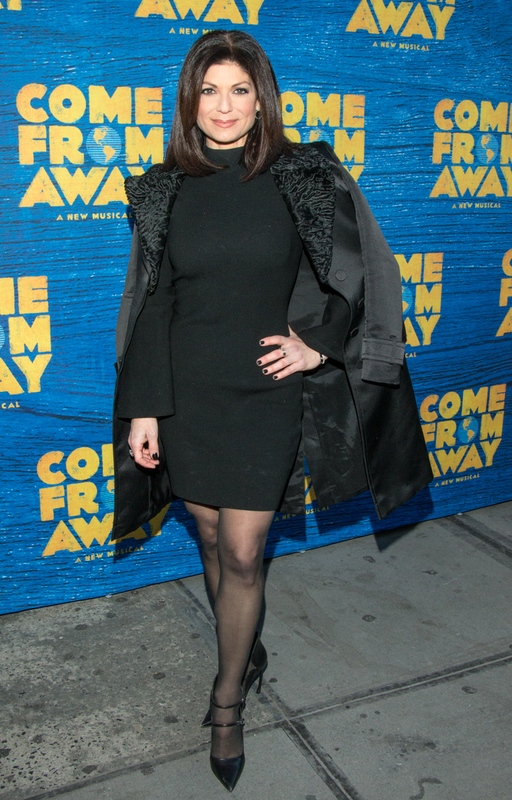 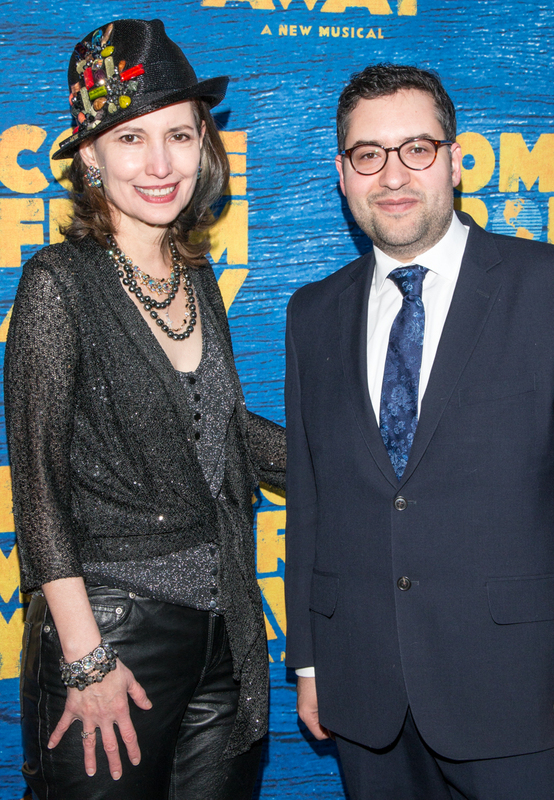 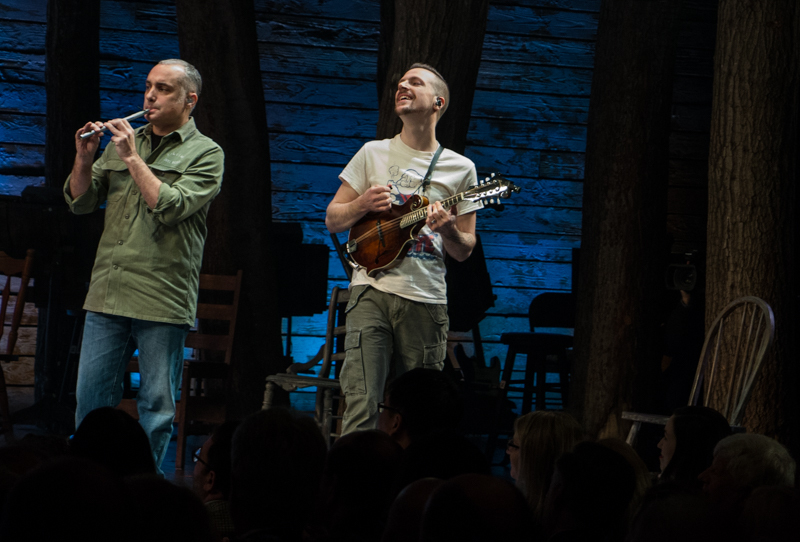 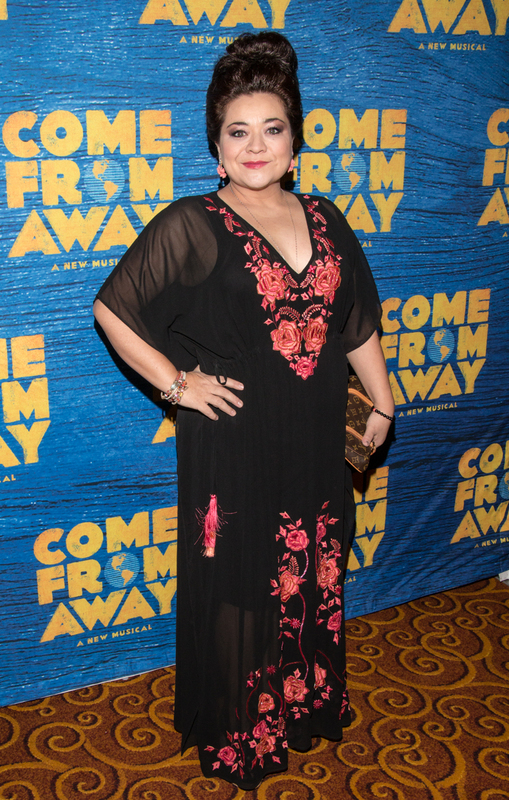 Opening night festivities featured guest arrivals that included not only many of the citizens of Gander who appear in the musical, but special first nighter guests including Victor Garber, Gideon Glick, Laurie Metcalf, Michael Xavier, Betsy Wolfe. 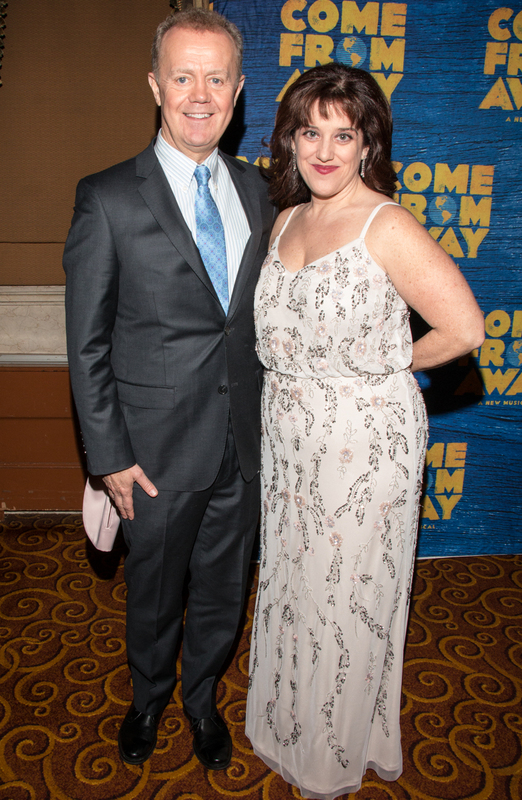 Theater Pizzazz's JK Clarke was on hand to capture the red carpet arrivals, curtain call and after party activities.